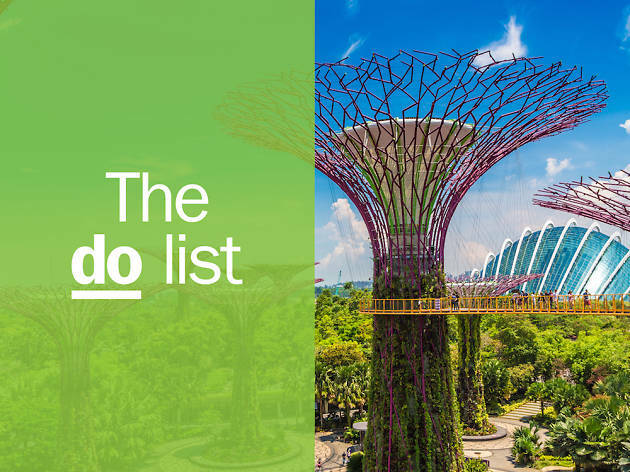 Welcome to the Time Out Do List where we handpick the best things to do in Singapore. Don't be fooled by the size of the city – there are plenty of major attractions to hit up, sights to see, grounds to explore and under-the-radar spots to discover. 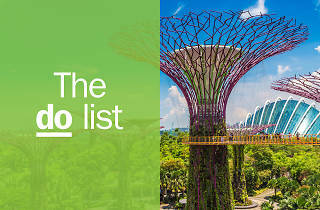 Take a couple of days off to play tourist and smell the roses at Gardens by the Bay, brace yourself for the tallest dual rollercoasters at Universal Studios Singapore, get cultured on the rich history of Singapore and its people at the museums or have your morning breakfast with orangutans at the Singapore Zoo. Not sure where to start? 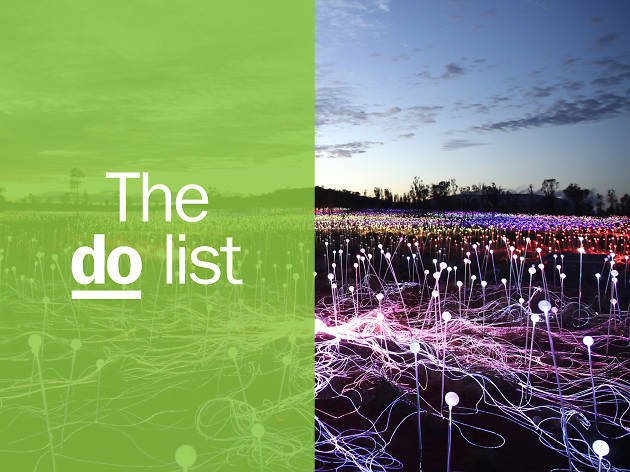 Leave it to us to show you the best events in town, as well as 101 things to do to check off your list. What is it? 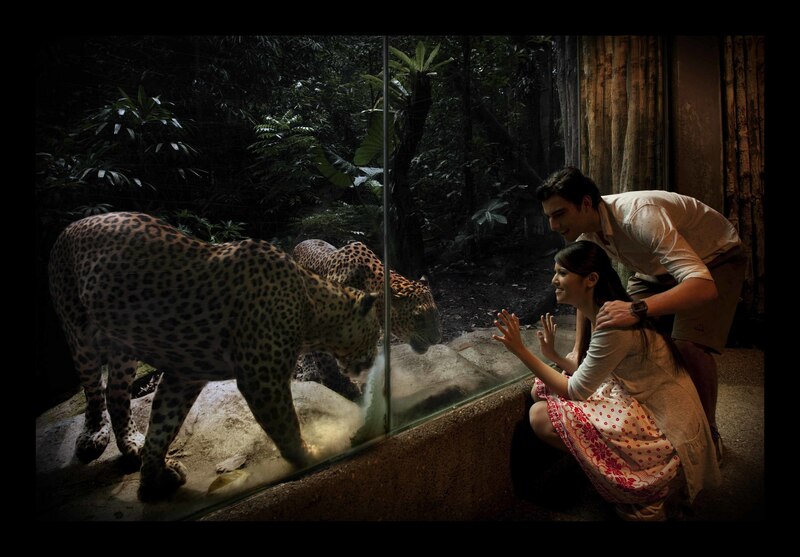 A river-themed wildlife park that’s hailed as the world’s biggest freshwater aquarium with over 5,000 animals. Why go? 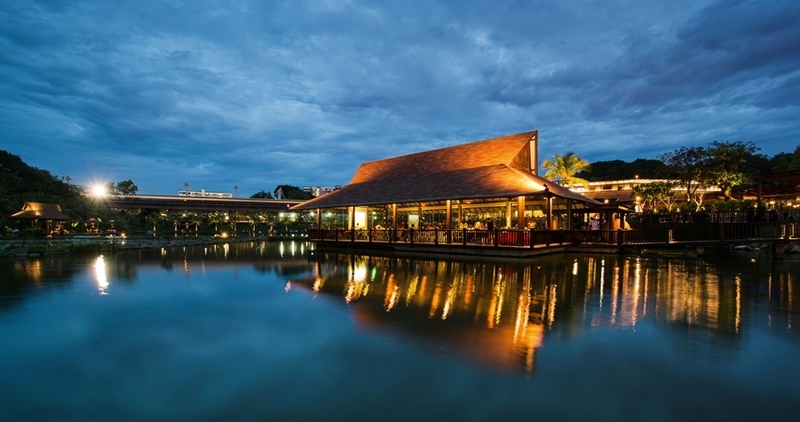 River Safari is the ideal outdoor spot for the entire family. Hop on a boat or take a walk and come face-to-face with creatures from the greatest rivers in the world including the Amazon and the Nile. 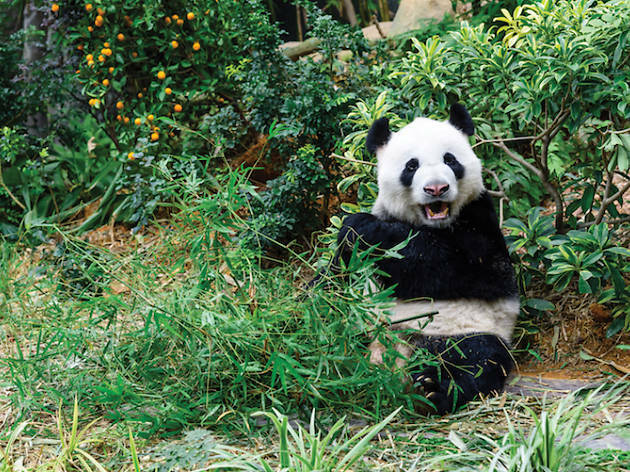 Plus, say hi to giant pandas, Kai Kai and Jia Jia. Maximise your trip by visiting next door neighbours Singapore Zoo, Night Safari, and Jurong Bird Park, all within the same vicinity. Don’t miss: Get up to 50% savings when you purchase the ParkHopper Plus ticket, allowing you admissions to all the four parks, tram rides and boat rides. That’s a whole day sorted. What is it? 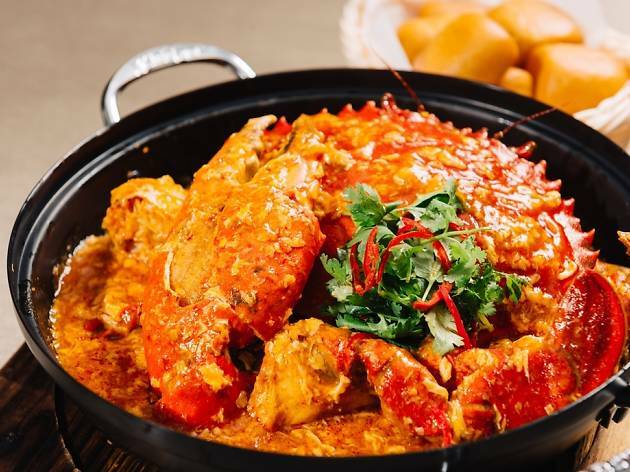 If we had to choose one national dish for Singapore that you have to try while you're here, it has to be our chilli crab. It’s sweet, savoury, tangy and spicy all in one bite and is best mopped up with a deep-fried mantou (bun). Why go? 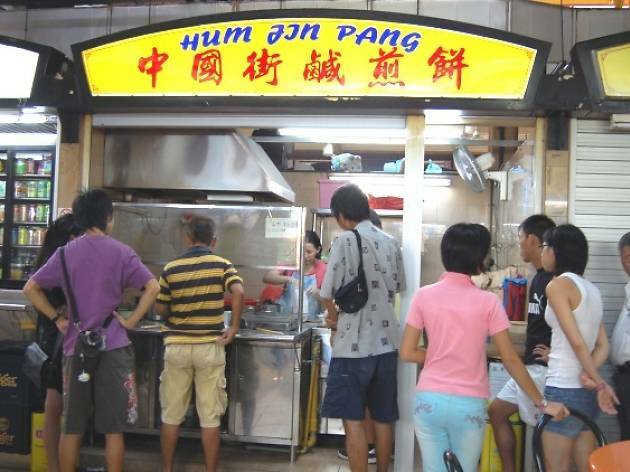 Jumbo Seafood is one of the best places to get elbow-deep into a plate of chilli crab. Not only do you get to enjoy the sea breeze, but the seafood is absolutely stellar as well. 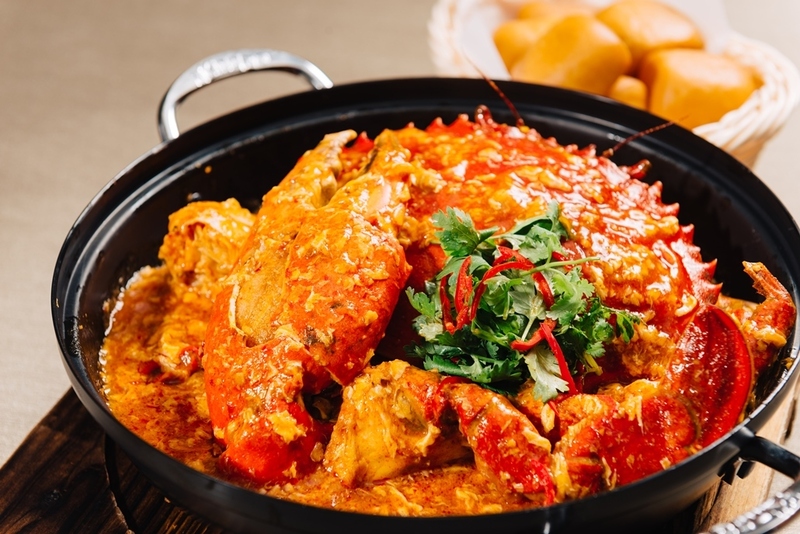 Don't miss: The chilli crab, of course. But if you're up for something even spicier, the black pepper crabs are as much of a local favourite. Not a fan of spice? Crabs tossed in creamy salted egg yolk sauce is another uniquely Singaporean offering that's equally delicious. What is it? A wetland reserve of mangrove swamps, ponds and home to 140 species of birds and a diversity of local wildlife. Why go? 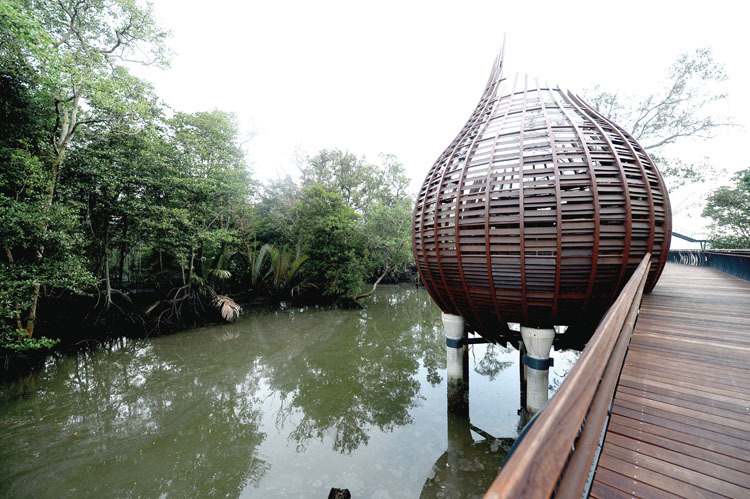 Whether you’re a nature lover or simply looking for a change of scenery for your weekend walk, you can choose between three nature trails (3-7km/2-4 miles long) to soak up the views of the Sungei Buloh Wetland Reserve. 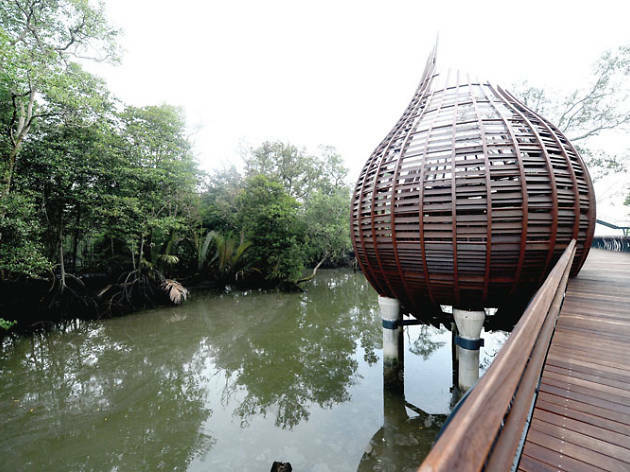 Look out for the mudskippers, monkeys and climbing crabs on the mangrove boardwalks. Thousands of egrets, sandpipers, and plovers pass through in winter, but plenty of local species (kingfishers, herons, bitterns) are visible all year round. Don’t miss: The early bird catches the worm. Head down to the observation hides at the crack of dawn for some bird watching. Binoculars are available to rent if you haven’t got one. Feed your curious mind and learn more about the flora and fauna of the swamps by signing up for its volunteer-led tours which are held weekly. What is it? 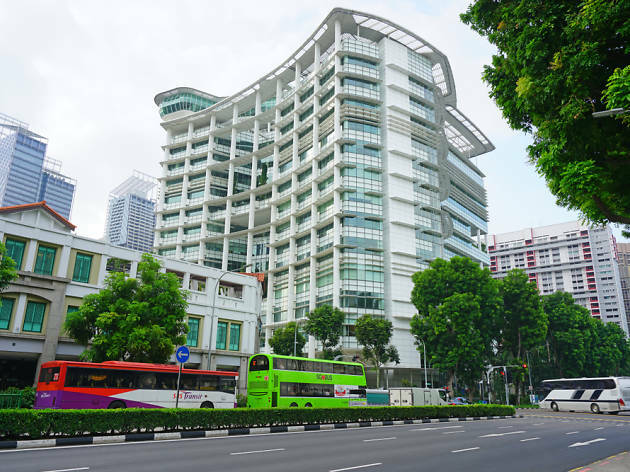 Considered as one of Singapore’s most iconic structures, the posh hotel features three floor-to-ceiling windowed towers, ascending at 200-metres high. Why go? 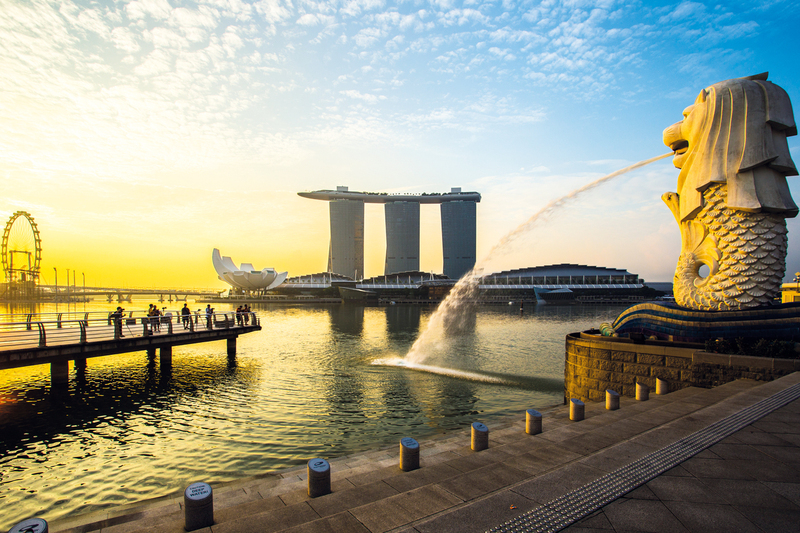 Besides having the chance to live the high life, the Marina Bay Sands also houses some of the city’s top restaurants and bars for guests to wine and dine while basking in a bird’s eye view of Singapore. 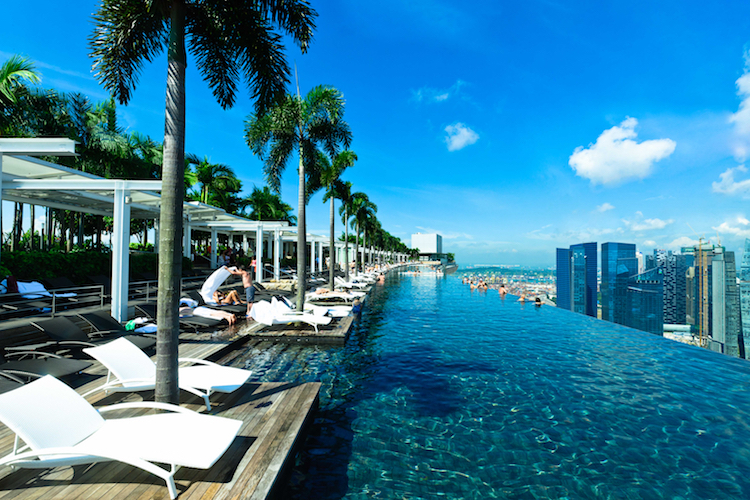 Alternatively, you can snap stunning pictures while taking a dip in the rooftop infinity pool. Don’t miss: Only hotel guests are allowed access to the rooftop pool, so book yourself a room pronto. What is it? 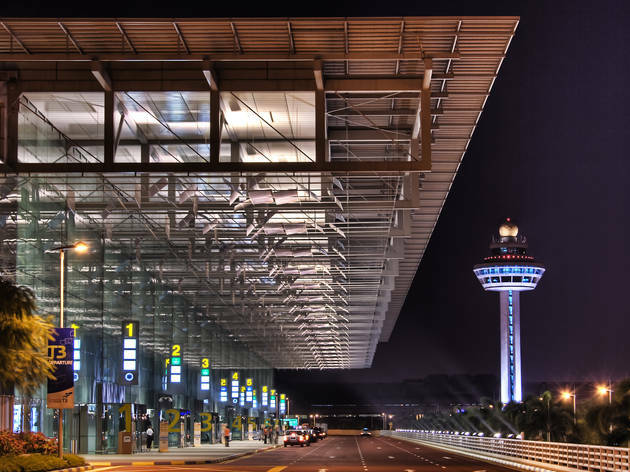 A world-class airport that has been crowned Skytrax's Best Airport in the World for seven years in a row – need we say more? Why go? 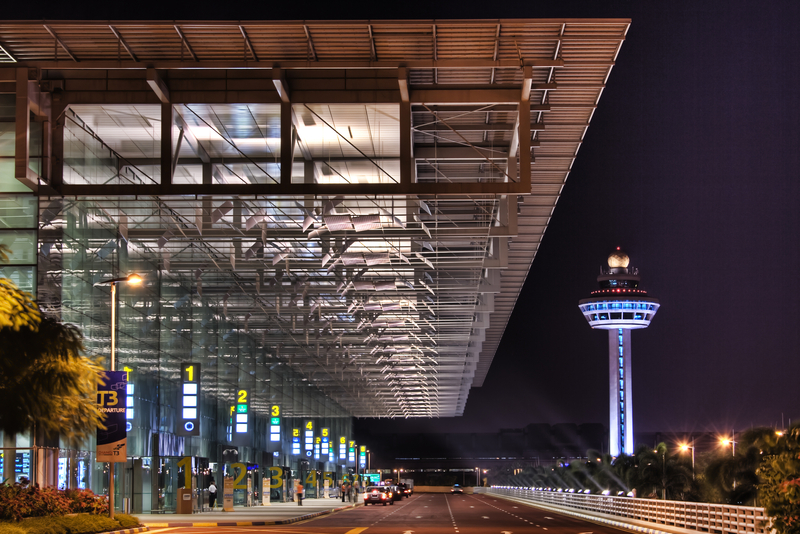 Boasting four award-winning terminals, Changi airport isn’t solely for landing and takeoff. 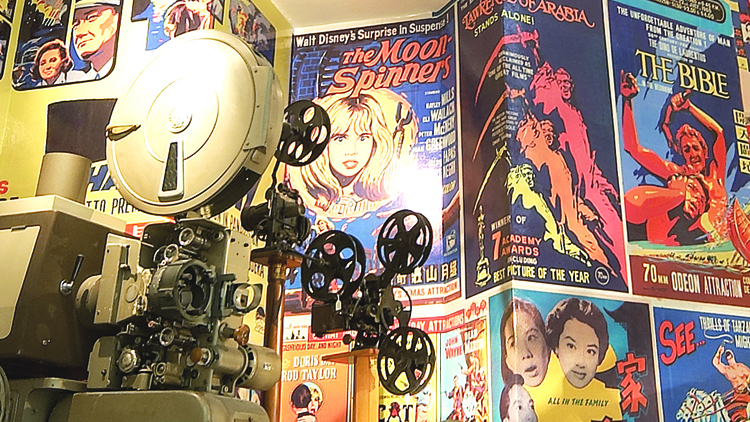 With a myriad of retail and dining offerings, as well as entertainment hubs for both the young and old, it’s hard to resist spending hours and hours here. Don’t miss: If you’re passing through customs and have some time to spare, check in early and ride down a giant indoor slide, explore a butterfly sanctuary and go for a quick swim in its rooftop pool (yes, you read that right). However, you might want to stay a little longer for the spankin' new multi-dimensional lifestyle destination – Jewel. 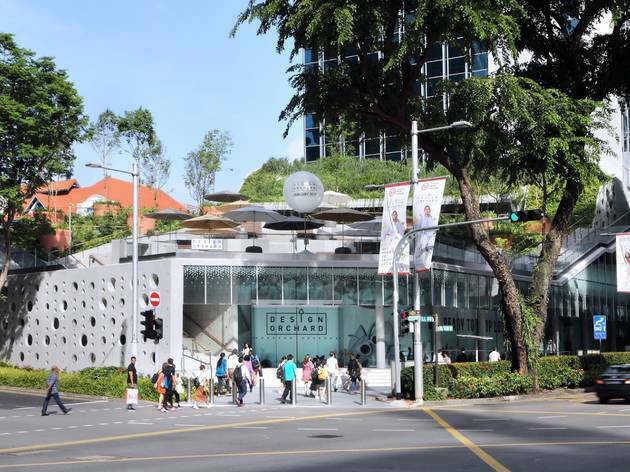 Here's where nature, play and over 280 retail and dining options, including the Singapore debut of the much-raved burger stand Shake Shack, Pokémon's merch store, dessert haven Läderach and A&W's highly-anticipated comeback, come together under one roof. Just make sure you don’t miss your flight. What is it? Located at the island of Sentosa, it’s a massive theme park loaded with seven themed zones and over 25 rides and attractions. Why go? It’s the perfect getaway for adrenaline junkies, priding itself for having the world’s tallest dueling roller coasters, an indoor thrill ride, a 3D Transformers experience, and a soaking white water rafting that ends in a hair-raising drop. 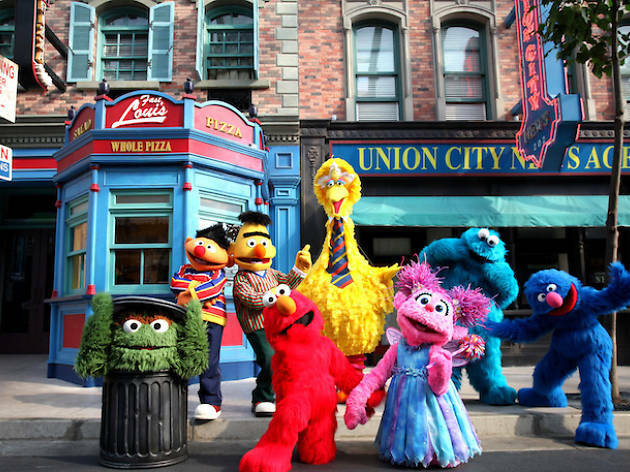 There are also kid-friendly attractions for the young and faint-hearted like a Shrek 4D cinematic experience, a train trip through Sesame Street and the canopy flyer for an aerial view of Jurassic Park. 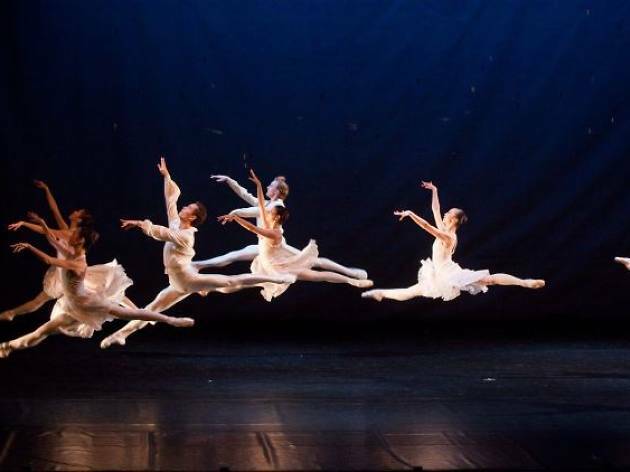 Don’t miss: Live performances, award-winning stage shows and spectacular firework displays that take place at various times throughout the day (and night). What is it? 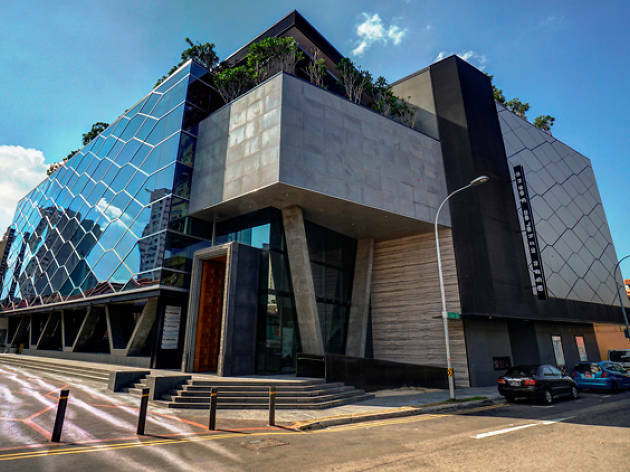 An art museum in the heart of Singapore that holds an extensive collection of Singaporean and Southeast Asian art. Why go? 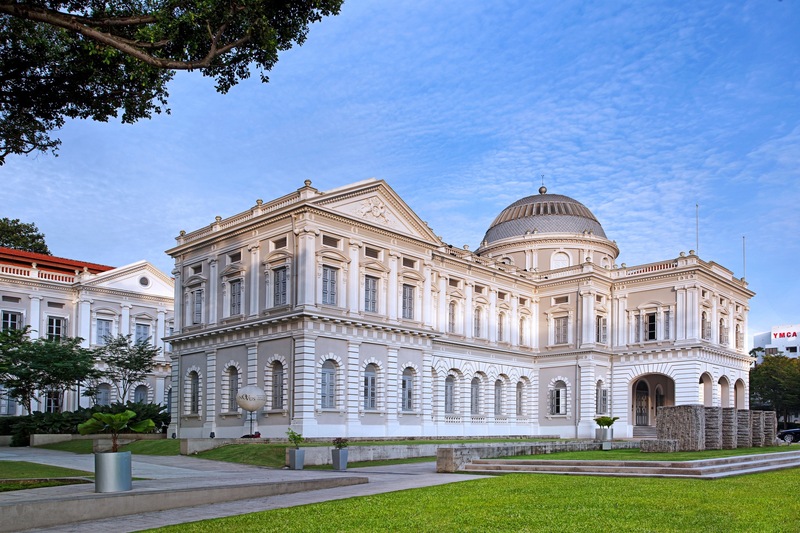 Home to the former Supreme Court and City Hall buildings, the National Gallery Singapore is a result of combining the two structures. 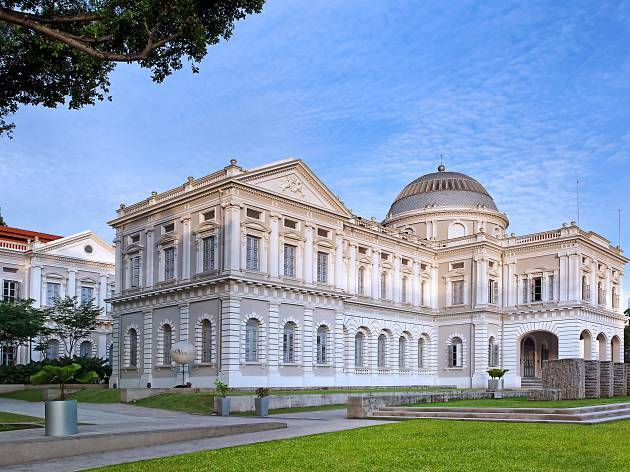 This beautifully restored space is now a whole new monument with over 8,000 works of art reflecting of the heritage and art history of Singapore and surrounding regions lining its walls. 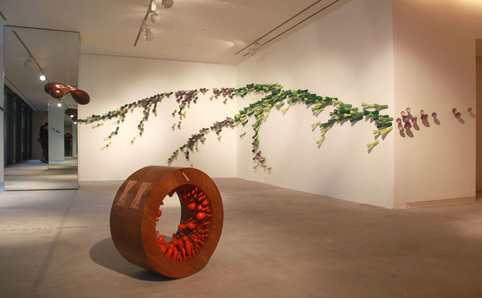 There are various exhibitions taking place on a rotational basis to keep the visuals fresh. 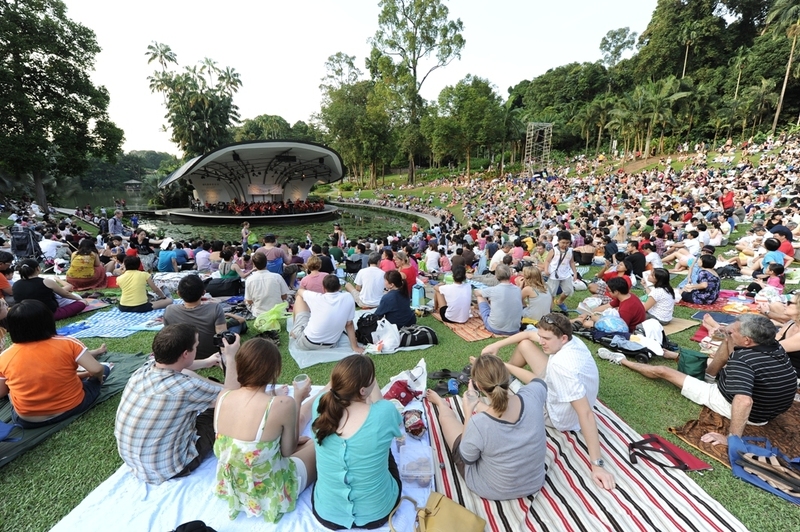 Don’t miss: All Singaporeans and PRs are granted free entry, but standard tickets for non-Singaporeans are $20. 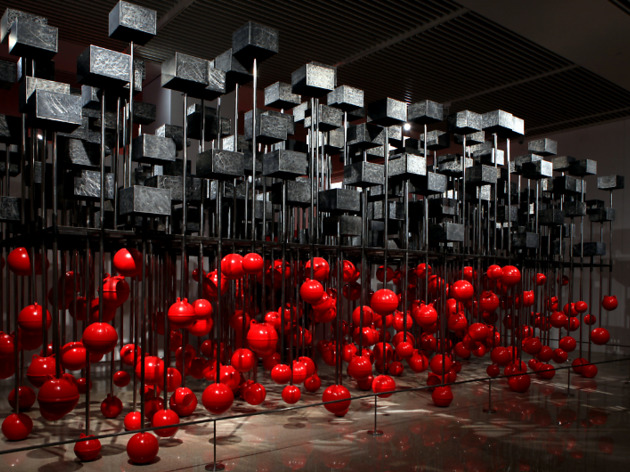 Download a digital map of the gallery on your mobile devices for an easy navigation in the art wonderland. What is it? 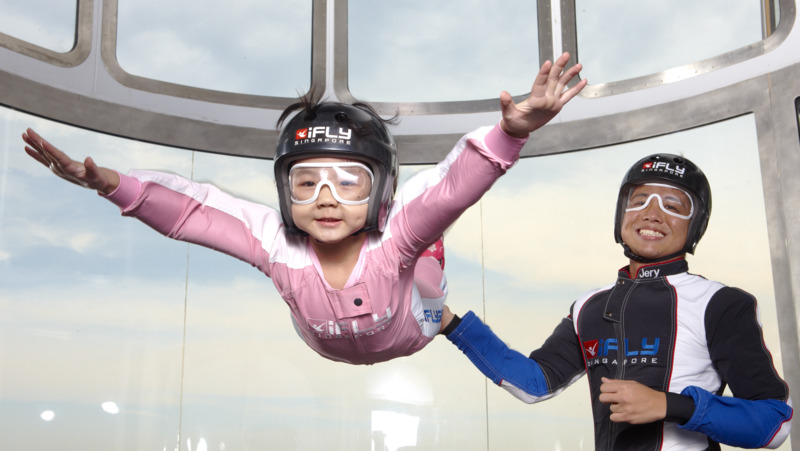 The world’s largest indoor skydiving wind tunnel. Why go? 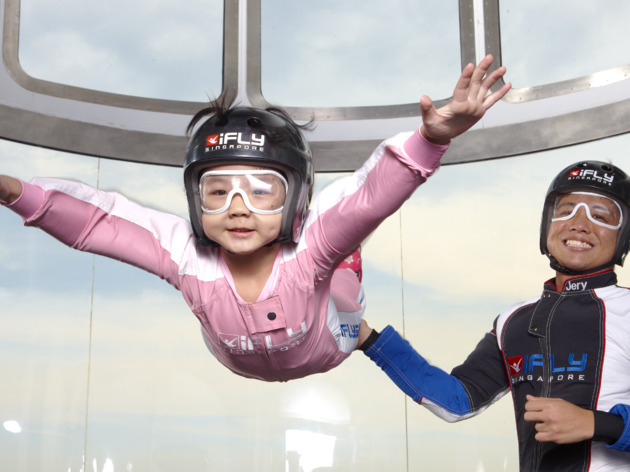 Providing the safest and most-accurate free-fall simulation possible, feel the rush of skydiving a few metres off the ground without actually jumping out of a plane. It’s a steal for all adrenaline-junkies, replicating free-falling conditions from a real skydive at 12,000 feet to 3,000 feet at a fraction of the cost of a tandem jump. Everyone is welcomed, from first-timers, pro-flyers, and even corporate team bonding sessions. 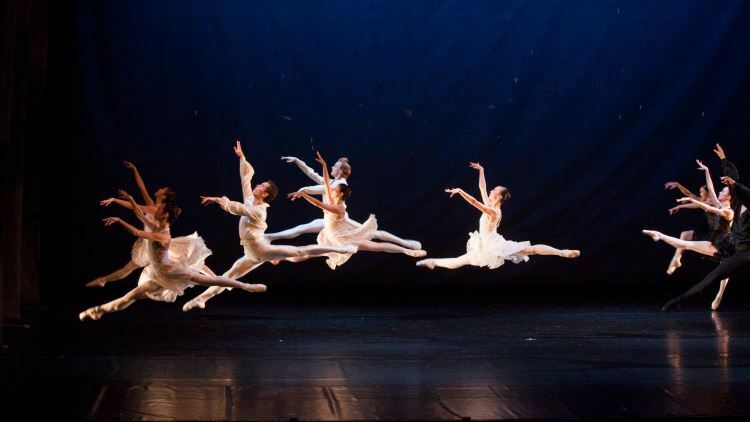 Don’t miss: Packages start at $89 for adults and $79 for children. Head down during off-peak hours and super off-peak hours for cheaper entries, and book online for even better rates. What is it? 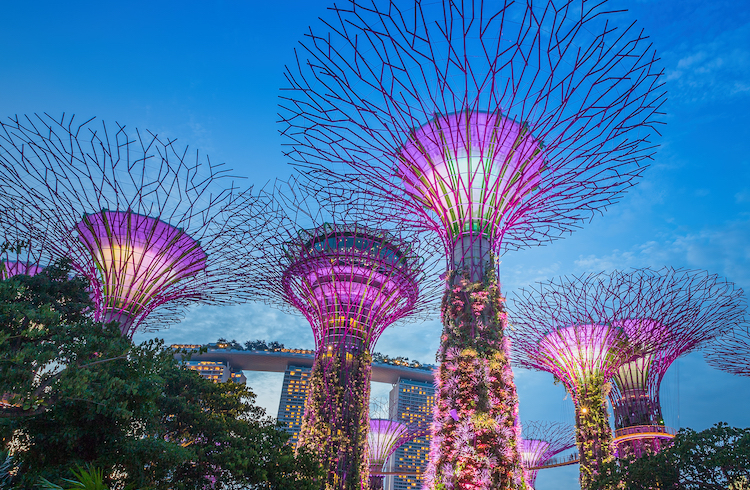 A garden spanning 101-hectares with three waterfront gardens and two flora conservatories – the Flower Dome and the Cloud Forest located in the heart of Singapore Marina Bay district. Why go? 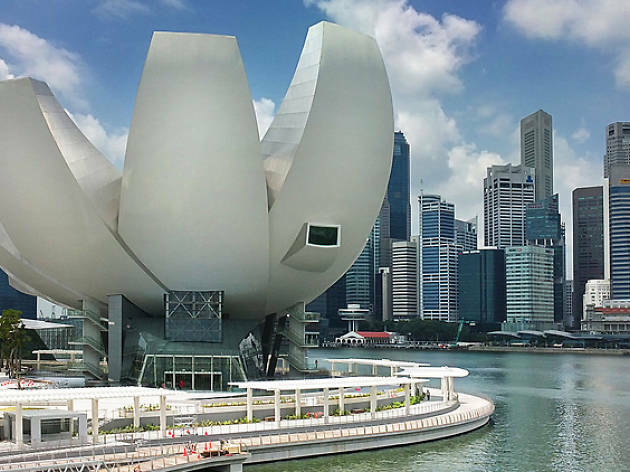 Grab the opportunity to admire flowers and plants of various types from all over the world right here in Singapore. Be sure to visit the Flower Dome, one of the world’s largest glass greenhouses showcasing exotic plant species like orchids and cherry blossoms on a seasonal basis. 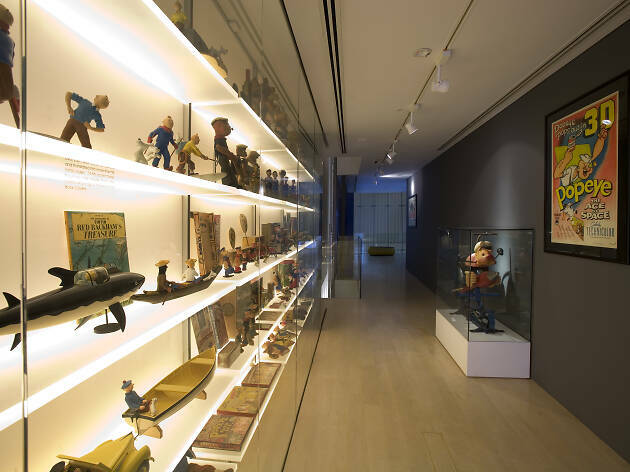 Don’t miss: Themed exhibitions displays rotate on a regular basis with new features. 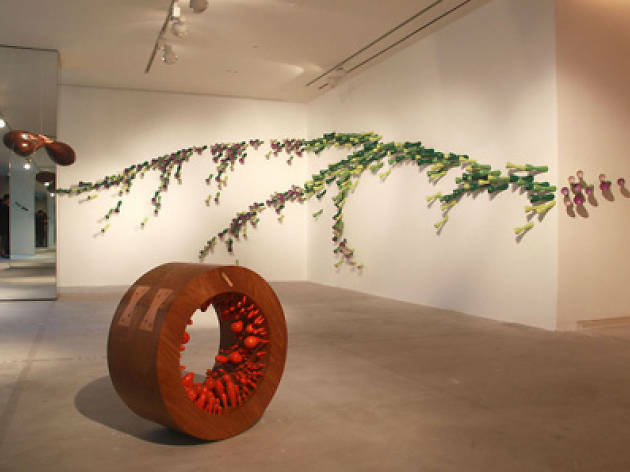 Check out the latest addition – Floral Fantasy – which combines flowers, artistry and technology together to create a special experience for visitors. 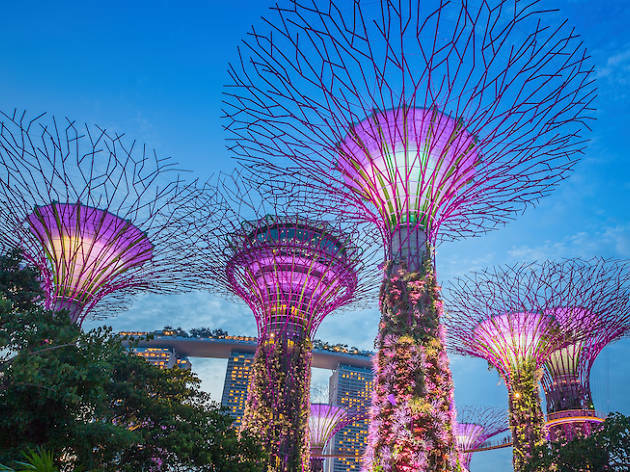 Then squeeze some time after for a walk down Supertree Grove where the Garden Rhapsody light and music performances take centre stage at 7.45pm and 8.45pm daily, set a different theme each month. What is it? 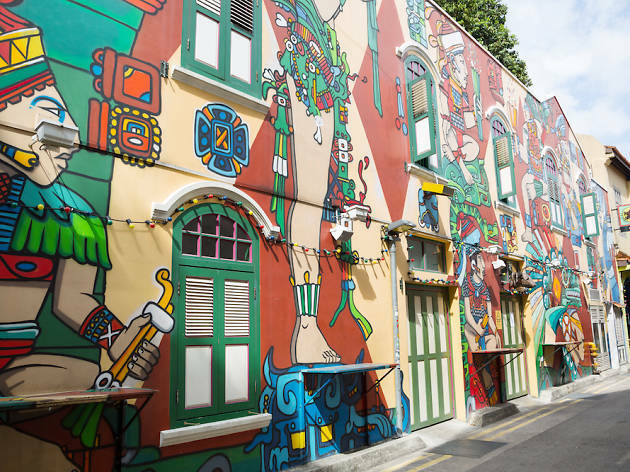 A narrow lane in the Bras Basah-Bugis district filled with indie shops, hole-in-the-wall cafes, hip bars and graffiti art lining its walls. Why go? 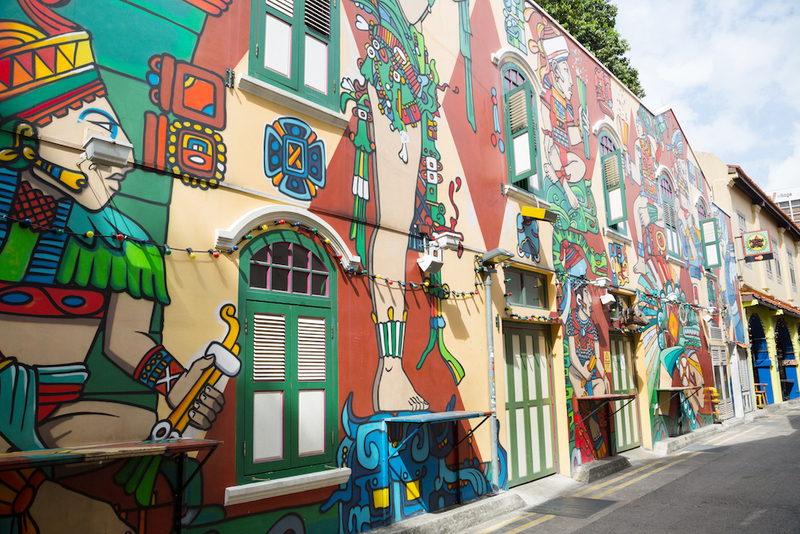 Haji Lane is the original hipster hideout in the city. 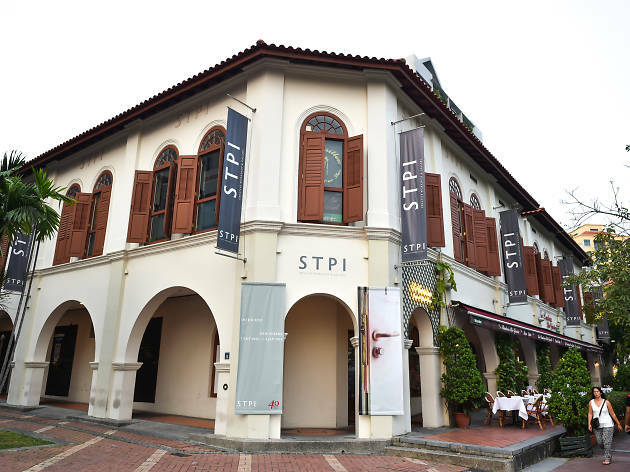 It’s lined with colourful shophouses occupied by independent boutiques carrying unique goods that you can’t find anywhere else in Singapore. 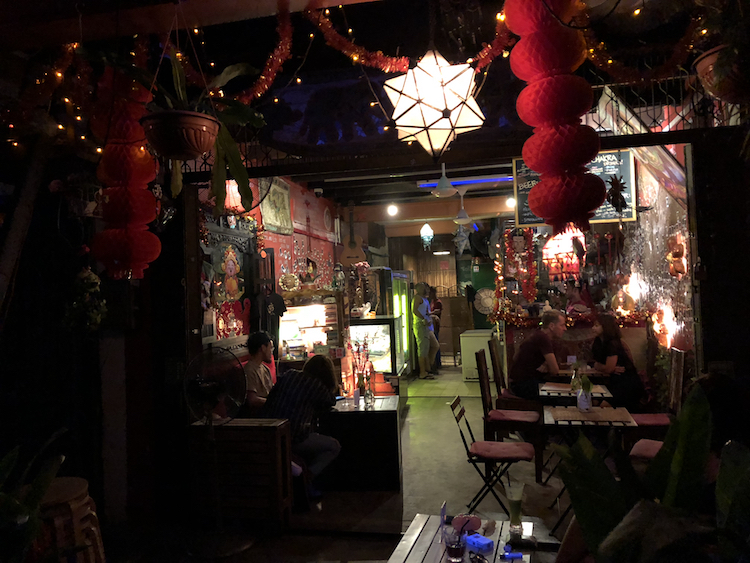 Home to a spree of charming cafes and watering holes, Haji Lane comes to life in the evenings with people heading down to grab some grub along with a drink, or two, for a chilled night out with friends. Don’t miss: Most of the shops along this stretch usually open past noon and close earlier in the evening, so don’t head down too late if you’d like to check out the shops before getting dinner or drinks. The area is also a car-free zone on weekends. What is it? 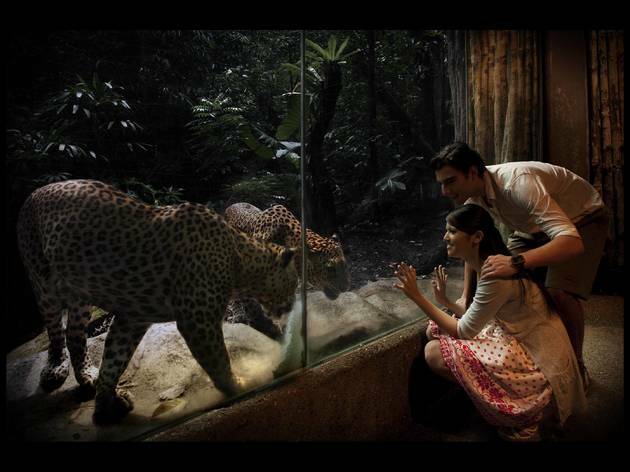 The world’s first night zoo where you can see over 130 species of nocturnal animals in their natural habitat without any barriers. Why go? 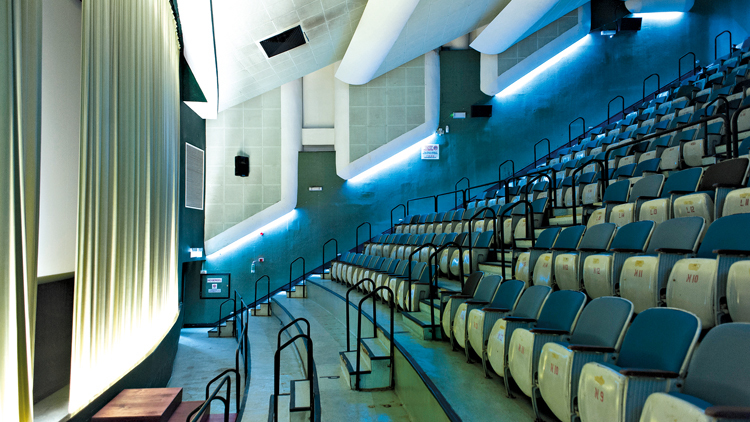 Observe over 900 nocturnal animals like striped hyenas, lions and mountain deers out of any enclosures and in their natural habits with the use of special lighting techniques. This must-go experience is a 50-minute tram ride through the lush secondary rainforest where you can get off and follow four walking trails to get close to the animals. 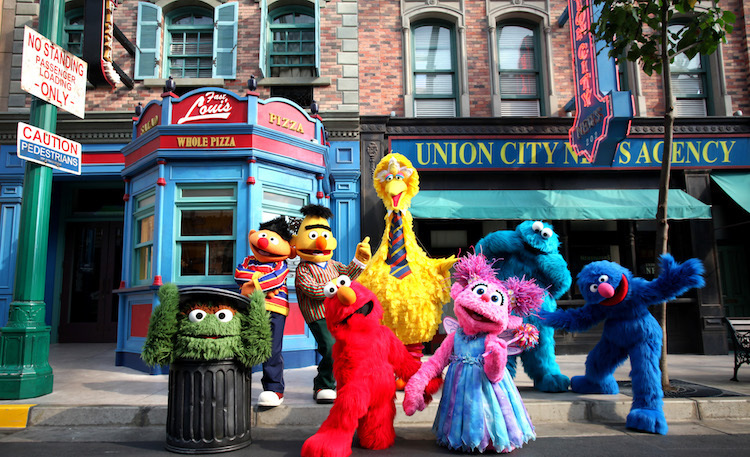 Don’t miss: The popular hourly Creatures of the Night show is definitely worth a gander, so arrive early for the best seats. For a quieter, peaceful experience, avoid the weekend crowd and head down on weekdays instead. What is it? 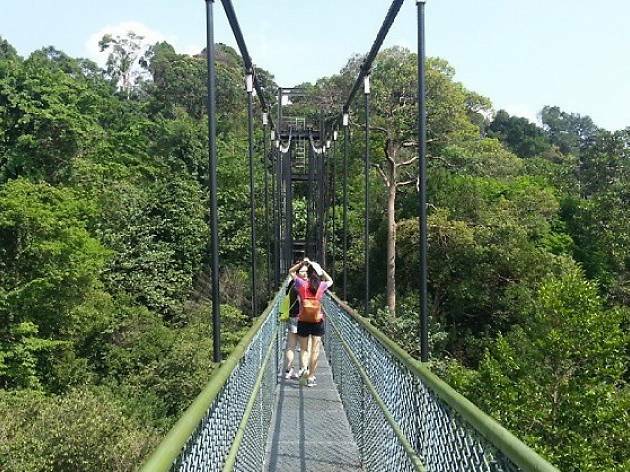 Singapore’s oldest and most popular nature park with lush rainforest bordering the country’s first reservoir and the Central Catchment Nature Reserve. Why go? 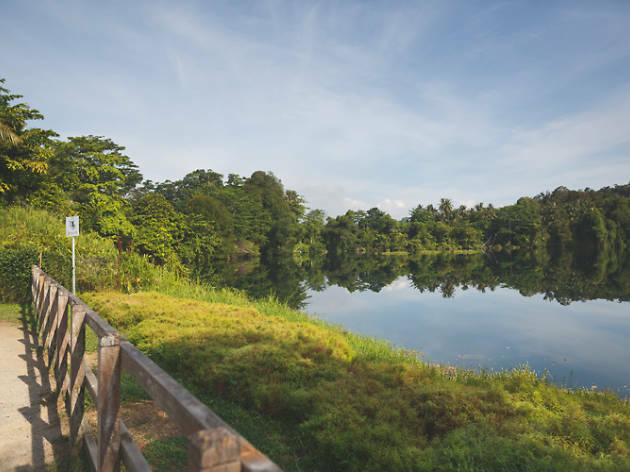 MacRitchie Reservoir is a haven for joggers, families and weekend strollers with trails around the reservoir ranging from three to 11-kilometres in length, from easy treks to ambitious hikes that can go up to five hours long for a round trip. 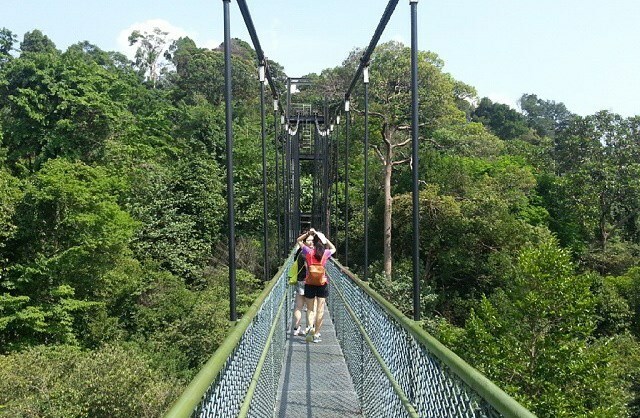 One of the highlights of the reserve is the HSBC Treetop Walk which features a 250-metre suspension bridge connecting the two highest point of the nature reserve, offering panoramic views across the treetops. 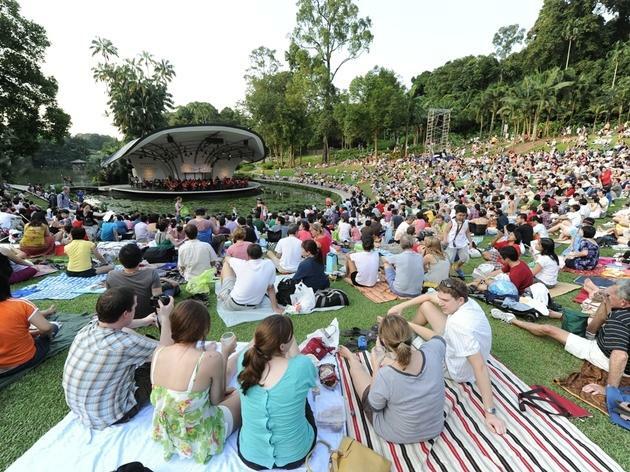 Don’t miss: Free concerts are occasionally held on Sundays so look out for them. Also, be sure to be careful with your food and don’t give any to the commonly sighted long-tailed macaque monkeys. What is it? A tiny island off the coast of Singapore with clear waters and sheltered beaches. Why go? 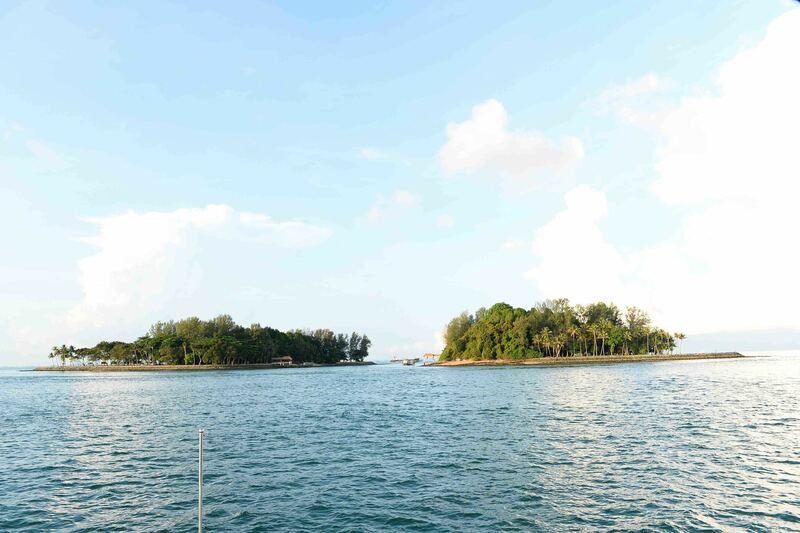 Pulau Hantu is popular among diving and snorkel enthusiasts due to its rich marine and coral life. Don’t miss: Get in touch with groups like Marlin Divers or The Hantu Bloggers to charter a boat to the islet for an experience you won’t forget. What is it? 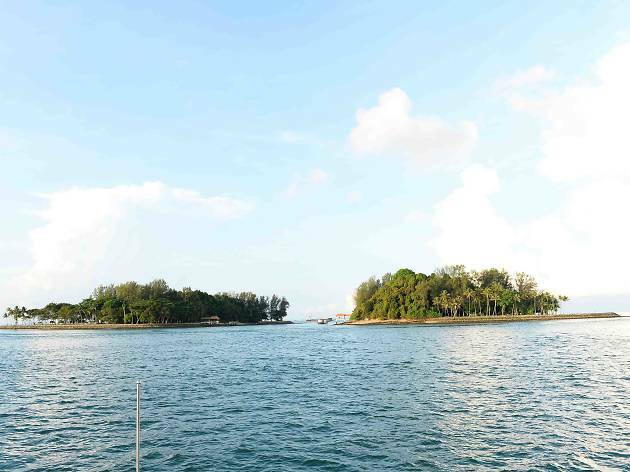 An offshore island lush with greenery and one of Singapore’s last surviving kampongs. Why go? 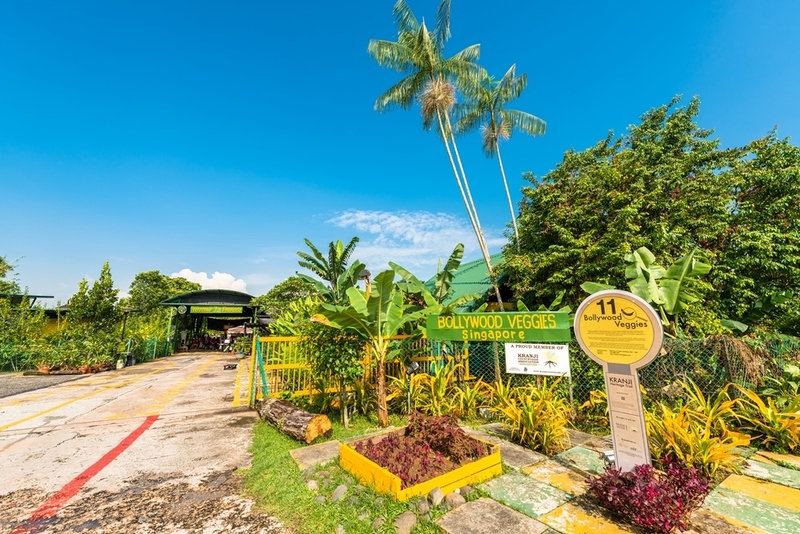 Head over to the wilder side of life and take a trip back to the past as Pulau Ubin allows you to you to experience the essence of what Singapore was like in the 1960s. The island is an outdoor enthusiast’s paradise with 1,020-hectares of gravel roads, lush forests and abundant wildlife. Make sure you check out the southeastern end of Ubin for the island’s main attraction: Chek Jawa. Don’t miss: The wetlands and its rich ecosystem are best seen during low tide, so keep your eyes peeled for vibrant sea critters like the peacock anemone as you stroll down the boardwalk. What is it? The city’s largest centre of worship for Muslims. Why go? 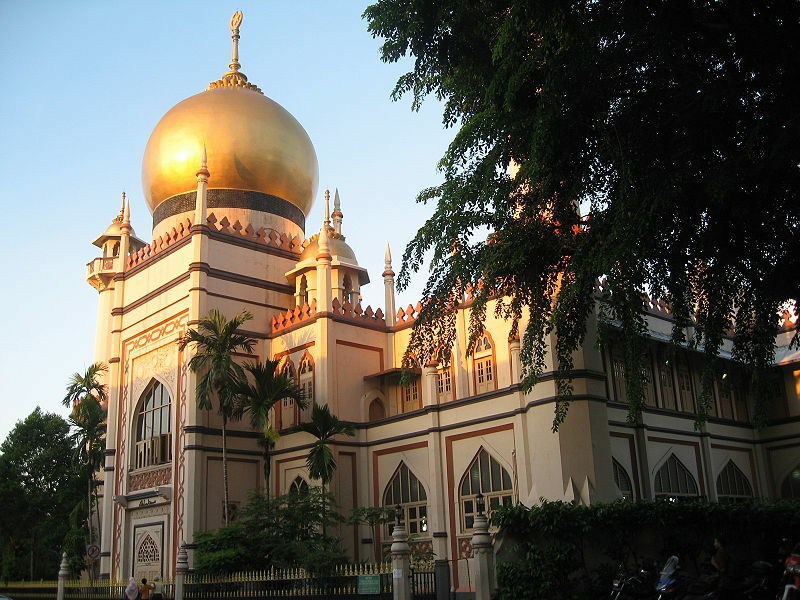 Wrap up your day out at Kampong Glam with a visit to the Sultan Mosque. 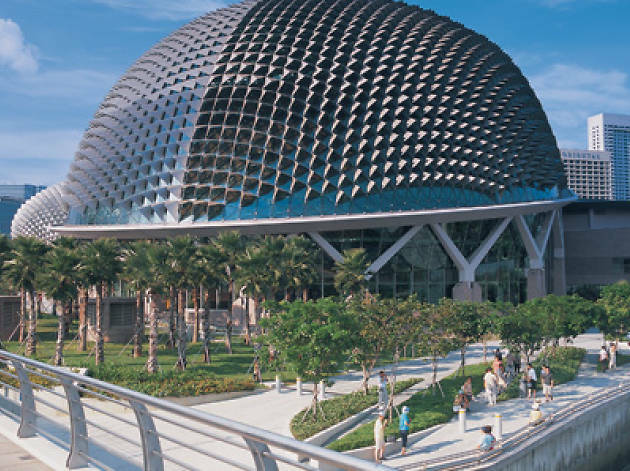 Filled with rich heritage and intricate decor inside and out (the base of the dome is made from glass bottles), this is one iconic landmark not be missed. Don’t miss: Visitors are always welcomed to enter, except during prayer services so do avoid Friday noons. What is it? 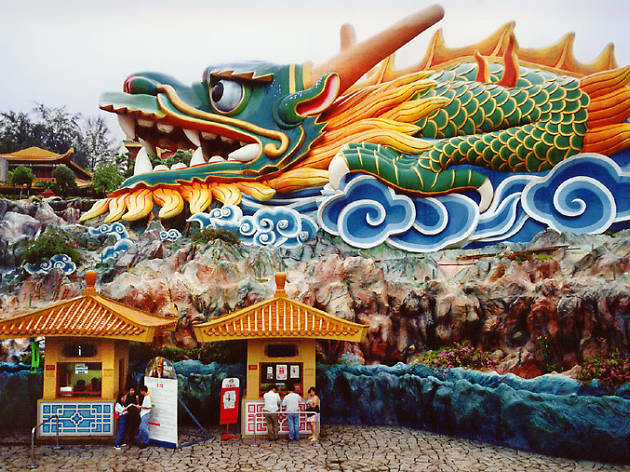 A themed park filled with multi-coloured statues depicting scenes from Chinese history and mythology. Why go? 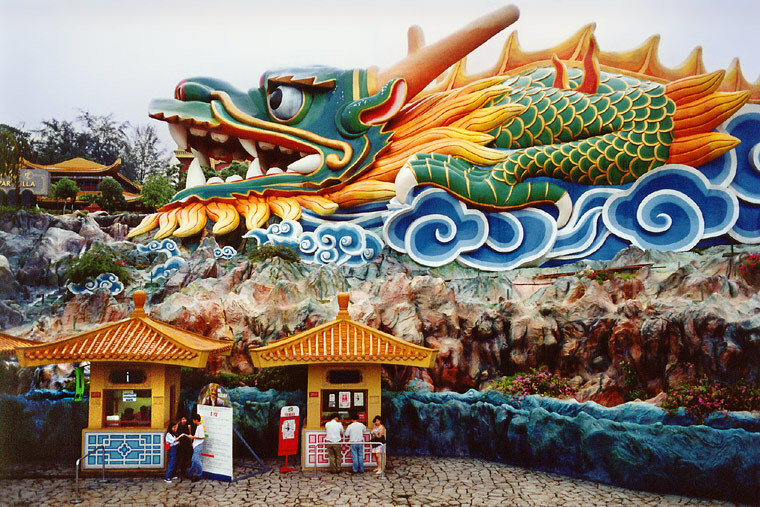 If you’re looking for a cultural experience like no other and you aren’t afraid of nightmares from the extremely gory visuals, Haw Par Villa is your best bet. One thing’s for sure, you will probably never see anywhere else like it. Don’t miss: Responsible for childhood nightmares since its opening in 1937, the infamous Ten Courts of Hell features small-scale tableaux show human sinners being punished in multiple method in gory and graphic detail. What is it? 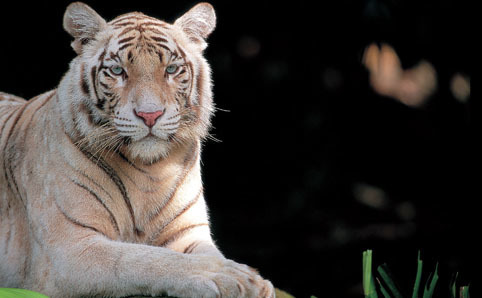 One of the world’s first ‘open concept’ zoos and home to more than 2,500 animals from across the globe. Why go? 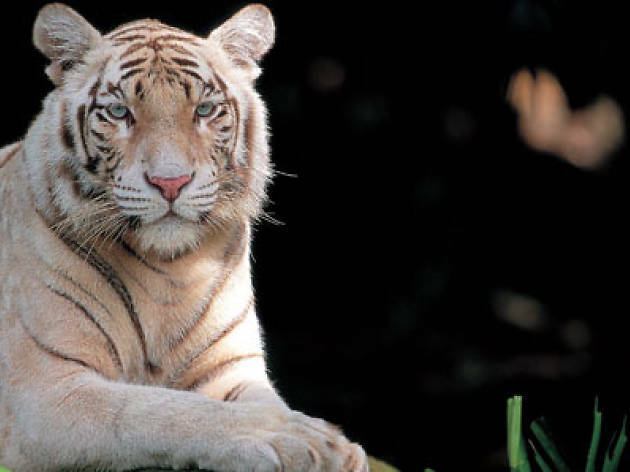 Immerse yourself in the wild, surrounded with over 300 species of animals, including the exotic white tiger and Hamadryas baboon, living in landscaped enclosures spread across the 28-hectare piece of land. 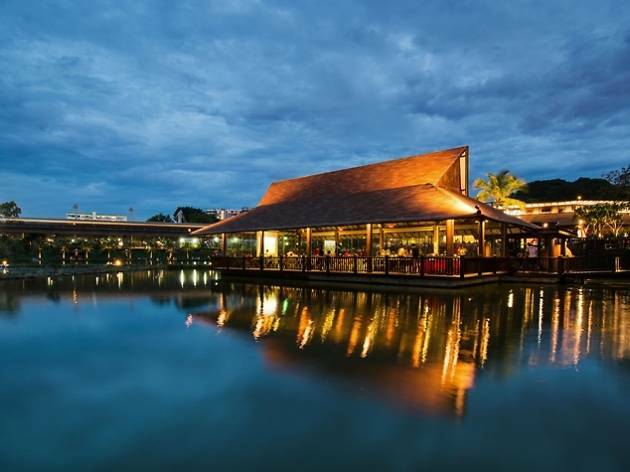 Don’t worry about getting hungry, the Singapore Zoo’s Ah Meng Restaurant serves up a generous buffet spread of Western and local delights for you to satisfy those hunger pangs before moving on the next exhibit. Don’t miss: Trust us – the highlight has to be the orangutans, which make their daily appearance between 9.30am to 10am. They’re friendly, well-trained and always up for a photo op. Book a breakfast session where you’ll be feasting on a buffet spread alongside the fascinating creatures that will be fed as well. What is it? 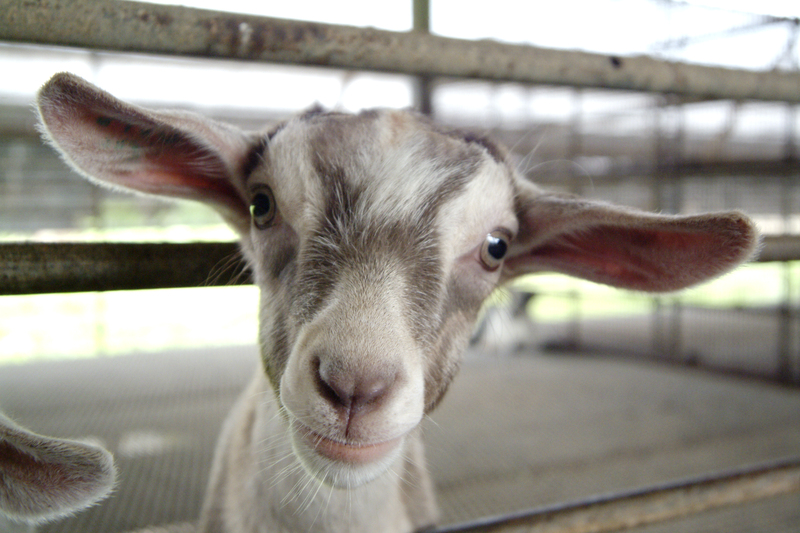 A goat-only farm established in 1988 with about 800 goats of various breeds. Why go? Take a break from the hustle and bustle, and instead, surround yourself with the animals here at Hay Dairies. 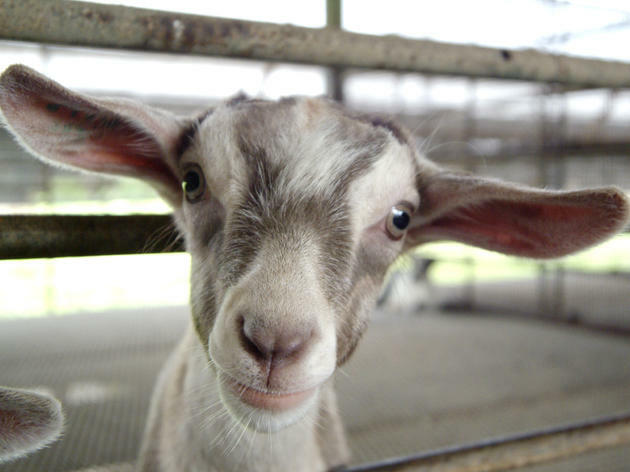 Chewing only on hay shipped directly from the US, as well special feed flown from Australia, it’s no surprise that Hay Dairies’ goat milk tastes better than most off-the-shelf brands. You can even get the chance to bring home a few bottles to try for yourself at the end of the day. Don’t miss: Milking sessions are from 9am to 11am, so head down early for the main squeeze. Otherwise, you can also feed hay to the fur-kids. What is it? 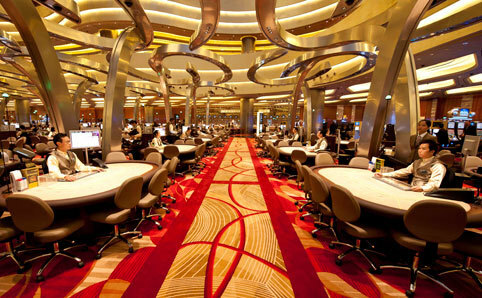 A four-level world-class resort casino, housed in the iconic Marina Bay Sands. Why go? 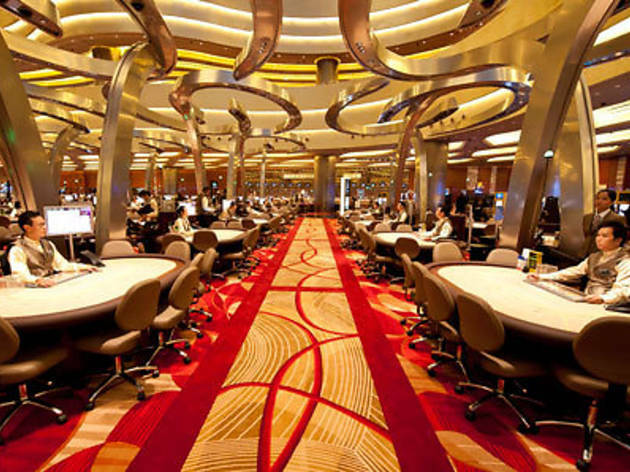 With more than 15,000 square metres of gaming space, the Marina Bay Sands Casino features approximately 600 table games and over 1,500 slot machines. Boasting a comprehensive selection of the most popular electronic game machines along with more than 30 private gaming rooms, you’ll have plenty of time to check out all of them as the Casino is open all night long. Don’t miss: Your passport is needed for you to gain entry so remember to bring it along. Foreigners get free entrance and are also allowed to enter as many times if permissible. 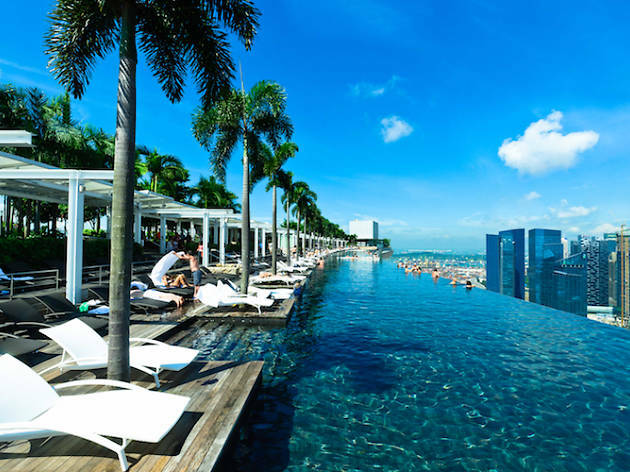 If you’re staying at the Marina Bay Sands and need a break, be sure to head on up to the rooftop deck to admire the gorgeous view of the city skyline. What is it? The obligatory tourist spot featuring Singapore’s iconic Merlion mascot that has water sprouting from its mouth into the river. Why go? 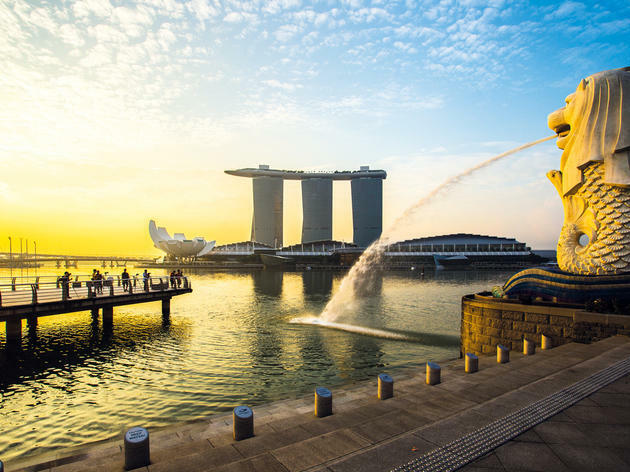 Featuring the mythical creature of a lion with the body of a fish, Merlion Park is one of Singapore’s national landmark and tourist attractions. It is visited by approximately one million visitors each year. 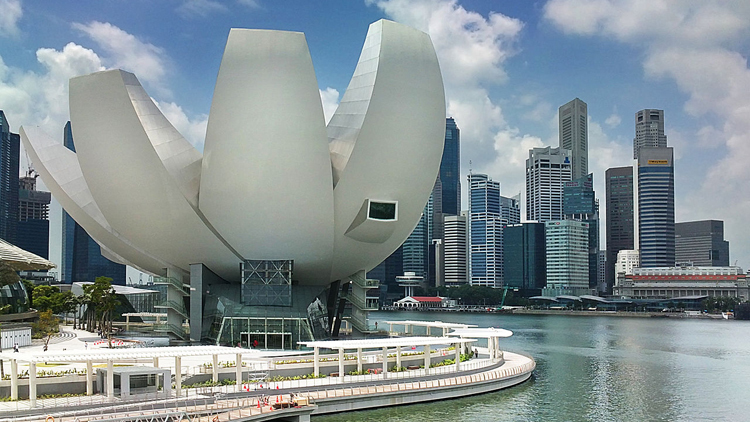 Standing in all its glory at a height of nearly 9-metres tall, it’s a must-have shot to capture in Singapore. 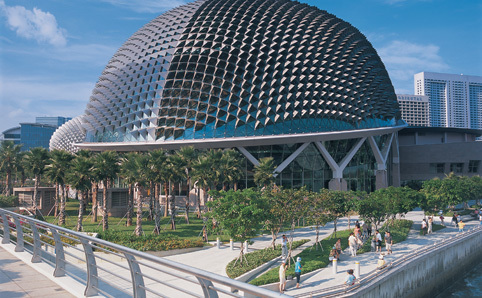 Don’t miss: The park makes a good vantage point to catch the laser light show happening at night at Marina Bay Sands. What is it? 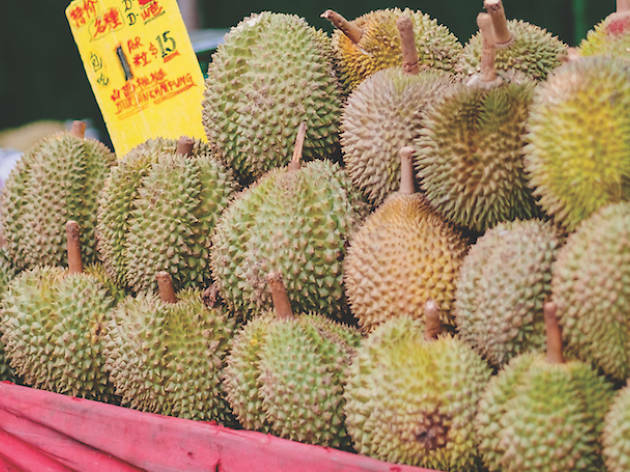 Try the king of fruits renown for its pungent smell and creamy flesh in the middle of Singapore's infamous red-light district. Why go? No trip to Singapore is complete without conquering the king. It's a great tale to tell back home and who knows, you actually might like it. 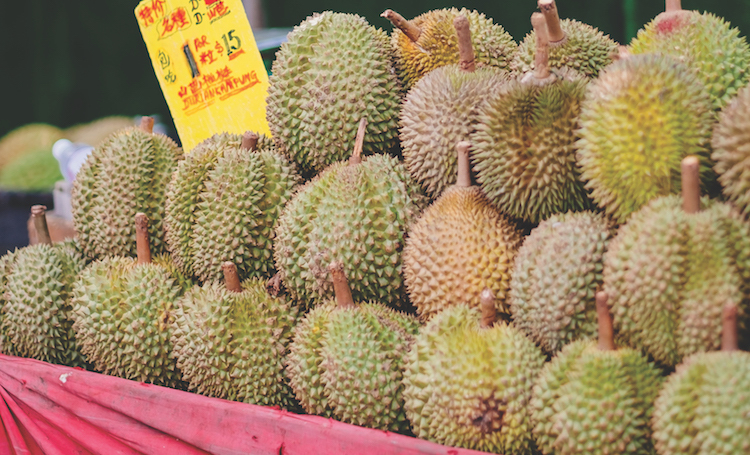 Don’t miss: Try the best of the best, the coveted Mao Shan Wang durian. Prized for its soft flesh and bittersweet taste, this durian doesn't come cheap but is definitely worth the extra coin. What is it? 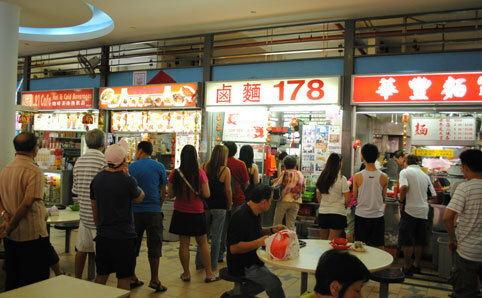 The cheapest Michelin-starred meal you can get in the world – just be prepared to queue for at least two hours. Why go? 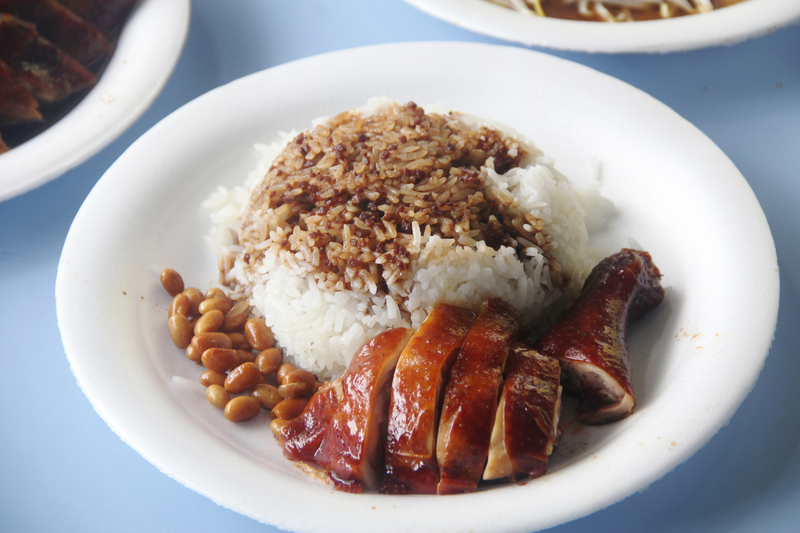 Michelin and local-approved food for less than $5. Chinatown Complex is also home to plenty of other superstar local dishes and even a craft beer shop where you can get your ales on draft. Don’t miss: The star of the show is the soya sauce chicken ($7-$14). And don't be afraid to pile on juicy and moreish char siew, too. The stall also serves up roasted pork rice ($2.50), pork ribs rice ($3) and dumpling noodles ($3). Vegetable dishes include bean sprouts ($3-$4) and leafy greens cooked in oyster sauce ($4-$5). What is it? 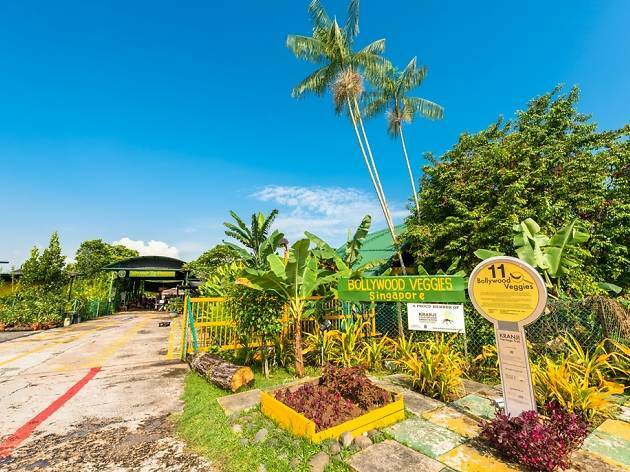 An organic countryside farm way out in Kranji that's the brainchild of Ivy Singh, the straight-talking former president of Netball Singapore. Why go? Learn more about local produce by going on a tour of the farm and find out more about the history of food at the Bollywood Food Museum. Kranji Countryside is also home to other local farms such as Jurong Frog Farm and Hay Dairies so feel free to spend the day on a farm-hopping expedition. Don't miss: Tuck into organic vegetables grown on-site at Poison Ivy Bistro. Don't be shocked by the colour of the nasi lemak here – it's naturally died with butterfly blue pea flower that they grow onsite. What is it? Now that you're acquainted with the local produce you can find on the island, try them in a Michelin-starred meal at Labyrinth. 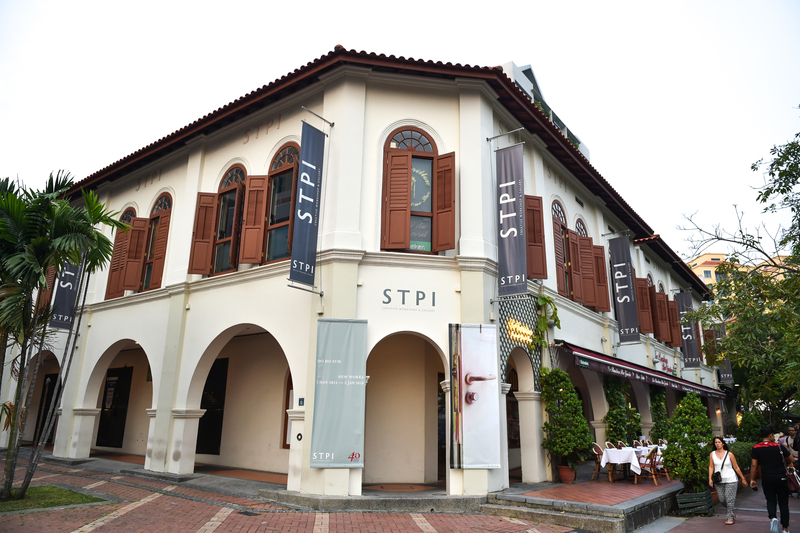 The modern Singaporean restaurant is housed in the Esplanade and whips up creations like quail satay and soy beancurd with bird's nest. Why go? 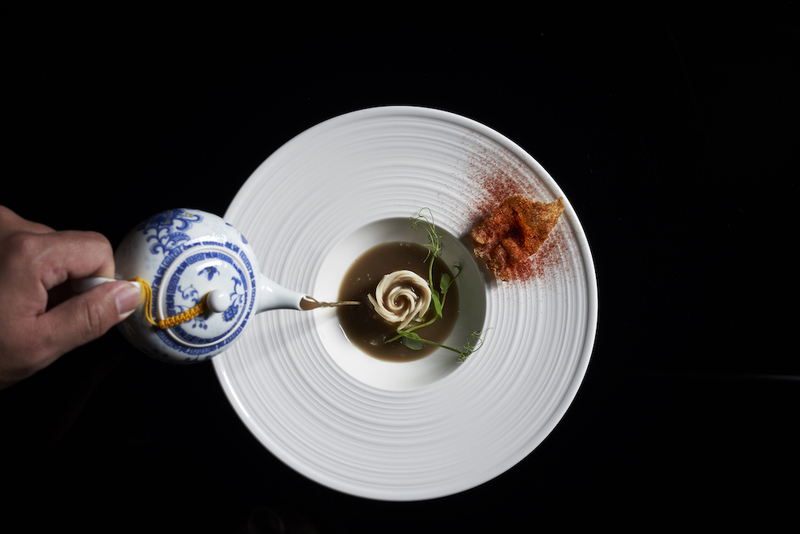 Chef Han Li Guang elevates local food to a whole new level and champions what Singapore is all about in his cooking. 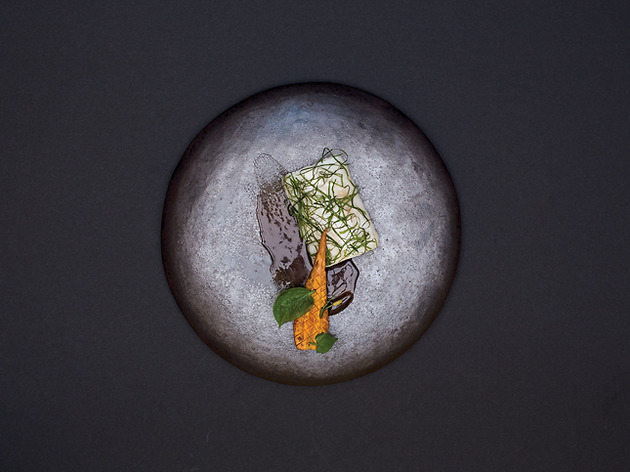 Creative, playful and packed with flavour – the food at Labyrinth top class. 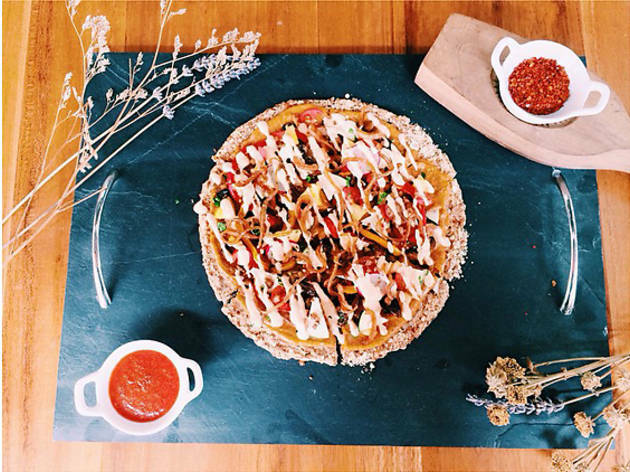 Don't miss: The Labyrinth rojak. A part of Labyrinth's tasting menu, this Singaporean staple gets an upgrade with herbs from Edible Garden City, cempedak sorbet and a natural stingless bee honey that has a natural tang that mimics the taste of assam. What is it? 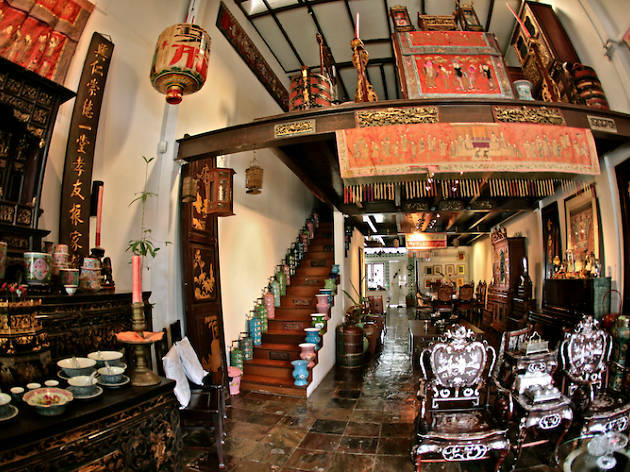 A traditional Peranakan restaurant that's been doling out local classics like ayam buah keluak and itek tim for years. It's a favourite among families and it's not uncommon to see three to four generations sitting together at a table here. Why go? 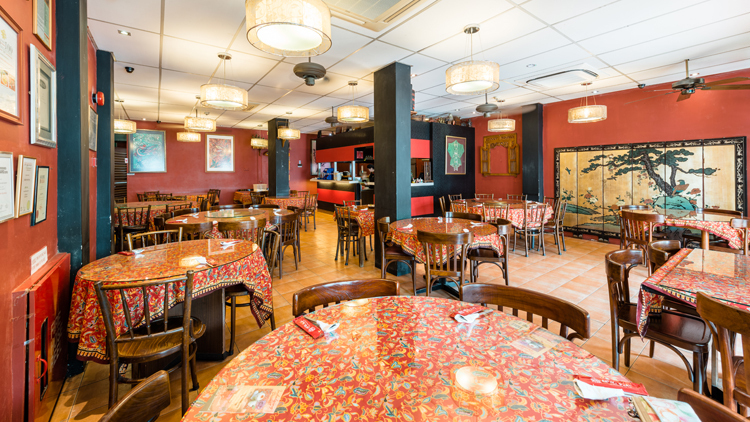 You've come to the right place for an authentic taste of Peranakan food. 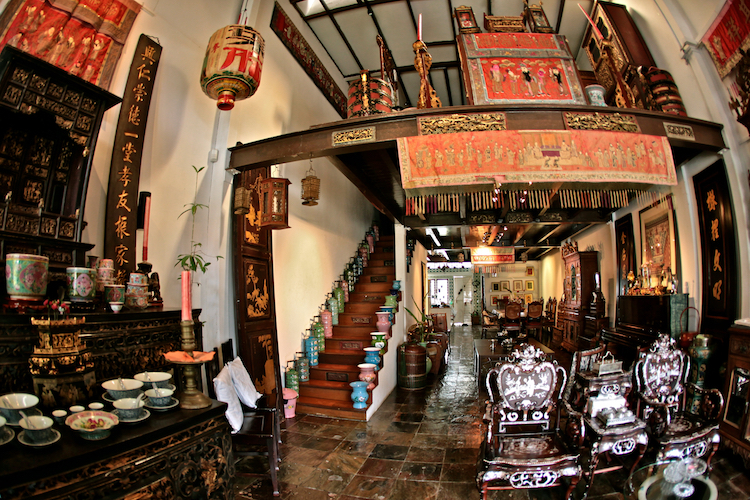 For those unfamiliar with Peranakan culture, a trip to Katong is the perfect place to start. 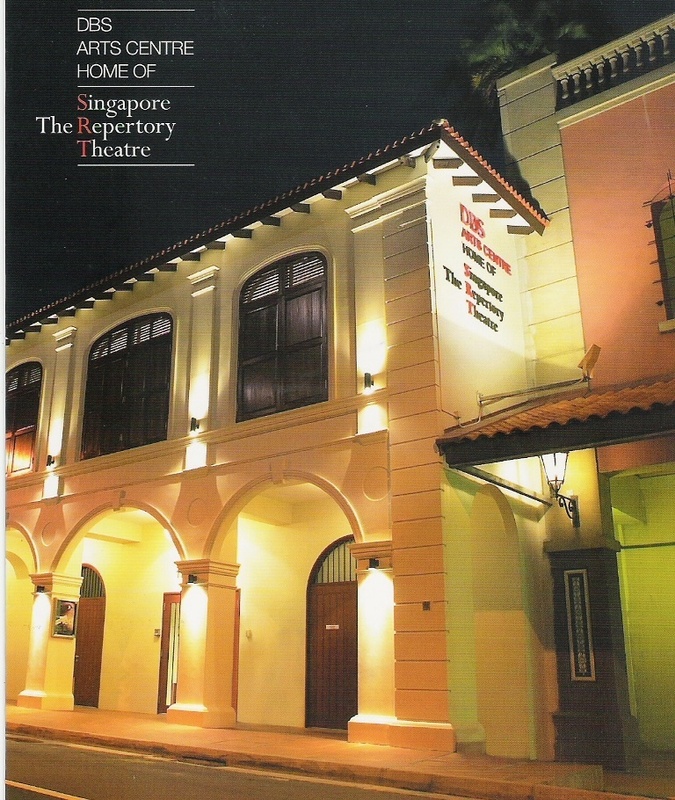 From the colourful shophouses rich in heritage that line the street to the array of Peranakan restaurants that call the area home, Katong provides a feast for all your senses. Don't miss: They do all the classics right here. We're talking beef rendang, ayam buah keluak, sambal goreng, chap chye and more. What is it? A popular supper haunt when the rest of the stalls have shuttered for the night. It's open till midnight and is the place where hungry night owls congregate after a night of drinking and partying. Why go? 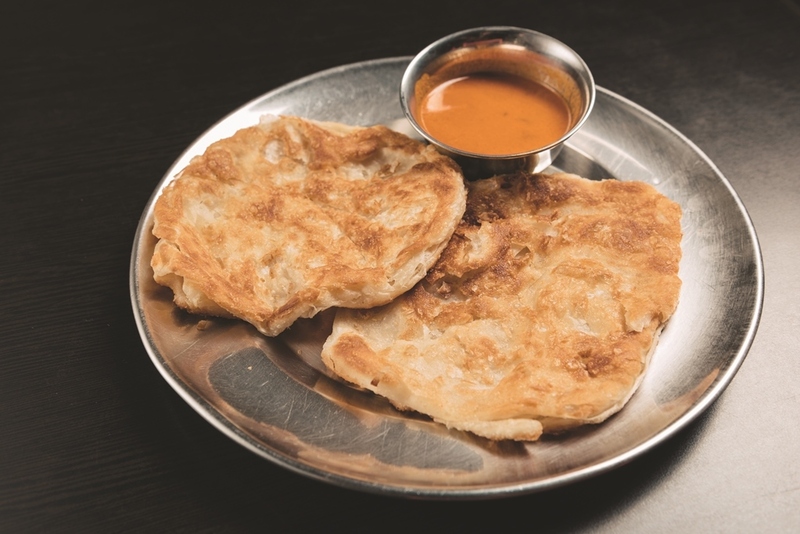 For sinful plates of roti prata, of course. There's also plenty of other Indian and Malay options on the menu too. 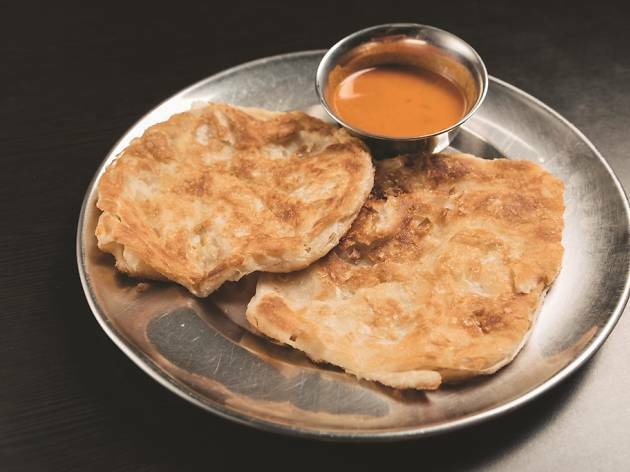 Don't miss: A slice of plain prata costs a mere $1.20 but go crazy and customise it to your heart's desire. Get one with egg, onion and cheese ($4) or egg, onion and mushrooms ($3.60). What is it? 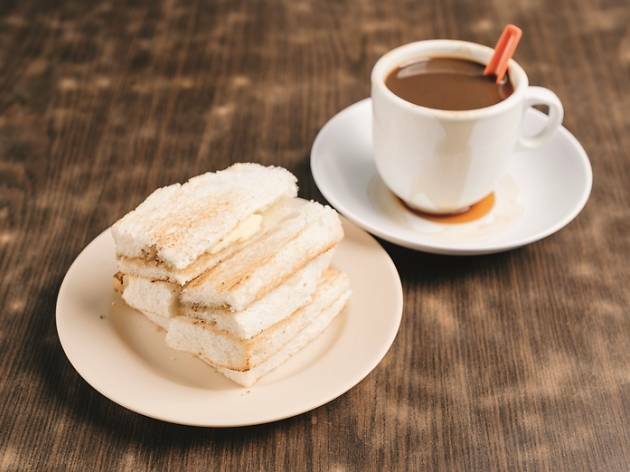 An old-school breakfast institution that's been serving the quintessential Singaporean breakfast of kopi, kaya toast and soft-boiled eggs since 1939. Why go? 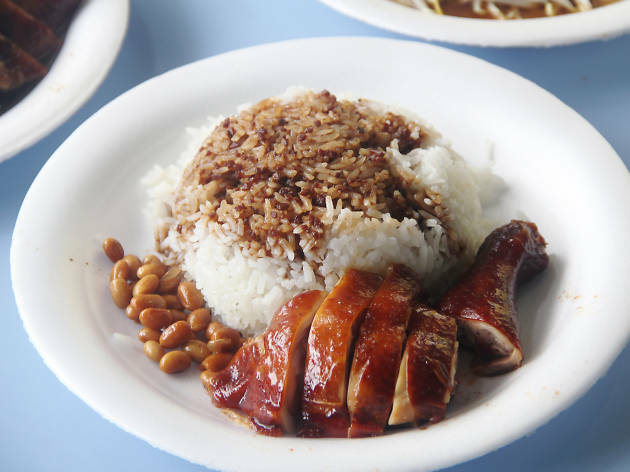 For a taste of nostalgia that you won't find at chains like Killiney Kopitiam or Toast Box. Don't miss: A robust cup of kopi pulled the traditional way through a sock, crisp and fluffy kaya butter bread and perfectly cooked soft-boiled eggs best topped with a dash of pepper and soy sauce. What is it? One of the few dim sum spots in town with the authentic pushcart experience and, to match, decor plucked straight out of the ’60s. Little old ladies flock to your table, hawking baskets filled with liu sha bao ($4.70) and xiao long bao ($4.50) and your card to track your orders. Ordering way too much is part of the experience here, so check your self-control at the door. Why go? 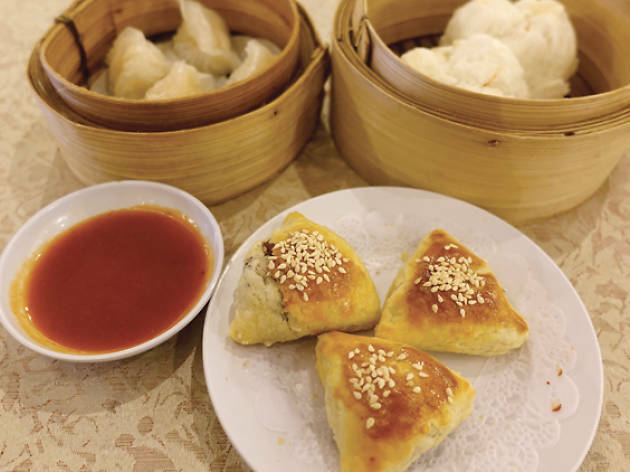 The dumplings at Red Star aren't the best in town – there are Chinese restaurants in hotels for that – but the experience of pushing through other hungry diners to snap up piping hot morsels of dim sum can't be beat. 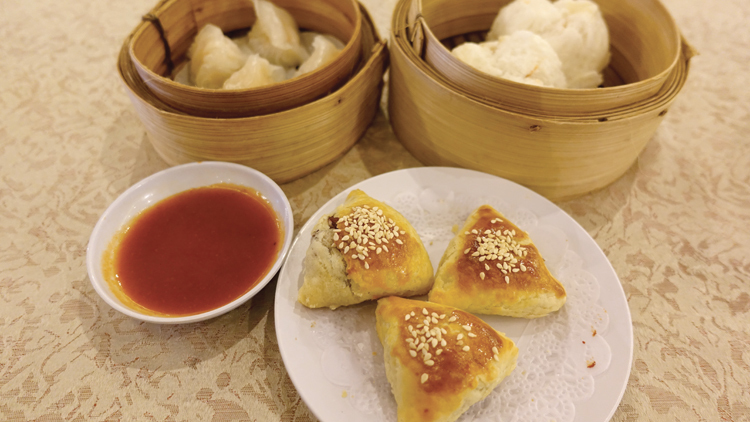 Don't miss: Reliable favourites include char siew sou ($4.50) and oversized har gao ($4.50) stuffed with whole shrimp. What is it? Ask any Singaporean what's the one thing you have to do while you're in town and the answer is most likely going to be "eat at a hawker centre". 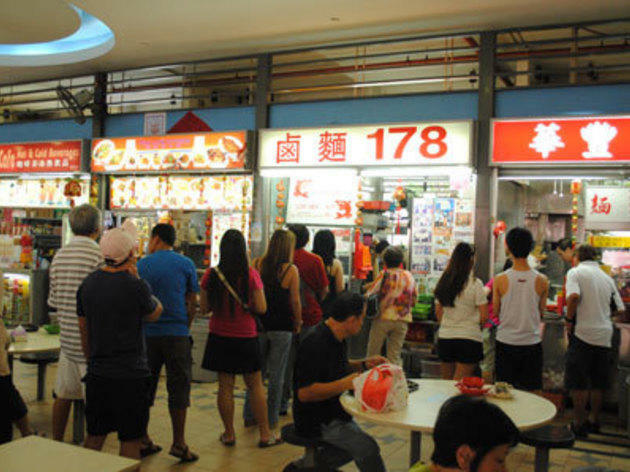 These food courts are an integral part of Singapore’s food landscape so treat yourself to an education of the finest degree at Tiong Bahru Market. Why go? 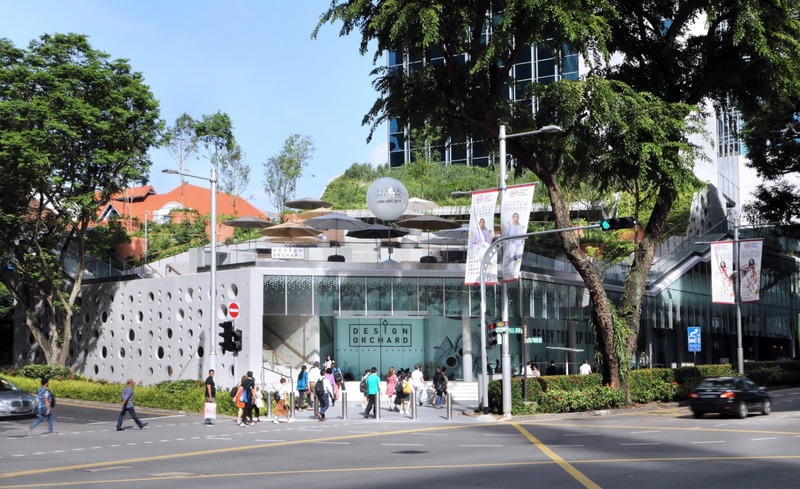 The recently revamped centre houses more than 80 hawker stalls including legends such as Tiong Bahru Fried Kway Teow and Jian Bo Shui Kueh. Plus it's bright and airy so you won't have to sweat it out as much. What is it? 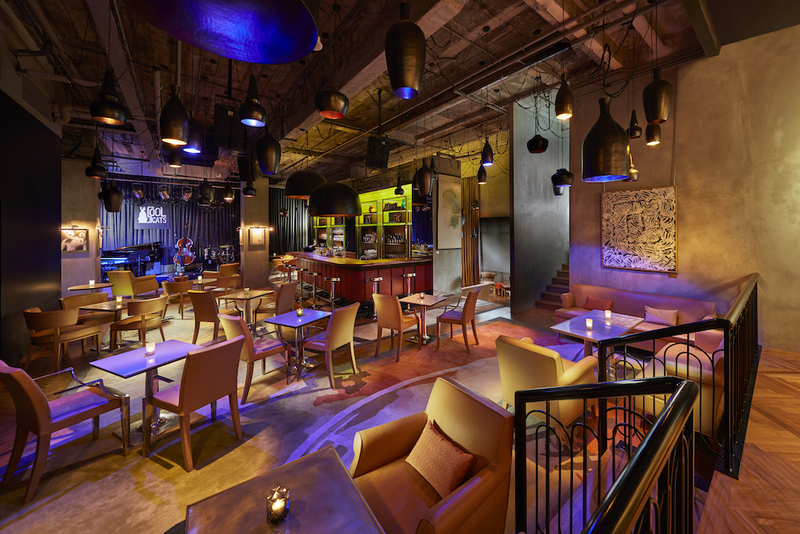 With a focus on all things regional – everything from its spirits, music and furniture is sourced from around these parts – Native pushes the boundaries of what an Asian bar should and can be. Why go? The cocktails are as delicious as they are inventive. 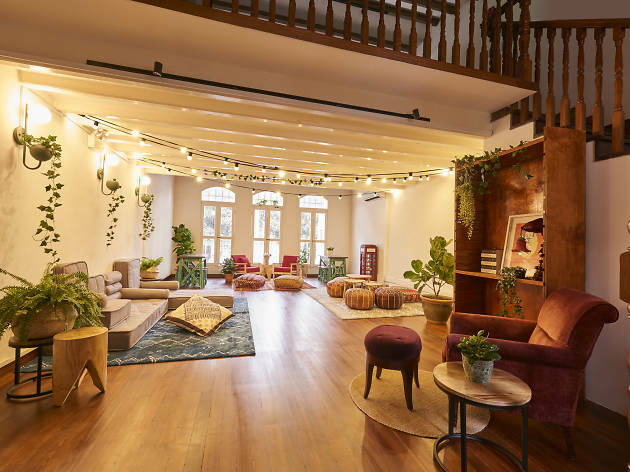 There's a sour and spicy kimchi and strawberry cocktail, a Peranakan-inspired tipple made with local goat's milk as well as a showcase of Singaporean spirits and mead. Don't miss: The pineapple arrack ($23). The only cocktail that's been on Native's menu since day one. It's one that both whisky and rum lovers will enjoy but it's different enough to make you do a double take. Why go? Orchard Road might be Singapore's glitzy shopping district but these ice cream uncles only charge $1.20 for their pretty treats, a small price to pay for the joy something so simple brings. 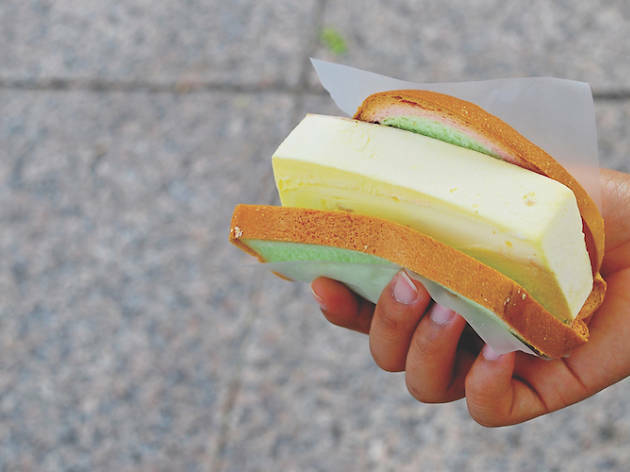 Don't miss: Pick your favourite flavour – it ranges from basics like chocolate and strawberry to durian and cookies and cream – and let the uncle know if you want to have it in a cup, on bread or between wafers. What is it? 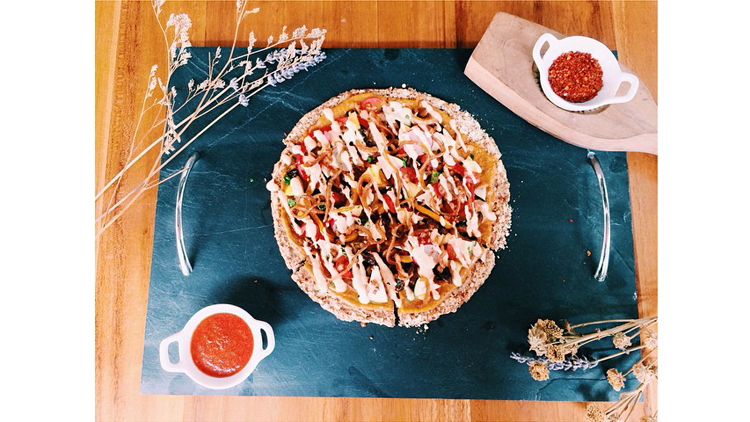 With the #eatclean movement hitting Singapore as hard as its presence has been felt worldwide, this vegan deli-retailer-bar is one of the pioneers of raw food here. Why go? Afterglow works with local and regional farmers to procure the crops for its inventive fare like a dragon fruit, pomegranate, avocado salad bowl with chunky chopped macadamia and mint dressing ($16), and a raw taco bowl topped with salsa, walnut ‘meat’ and cashew cream ($16). The restaurant's also noted for making its own vegan cheese ($16) with cashew nuts. Adding to the buzz of the area at night, a selection of small-batch wines, craft beer and whiskeys is also served to accompany the healthy cuisine. Don't miss: The zucchini linguine with walnut meatballs ($20). Raw spiralise zucchini is topped with tangy tomato sauce and "meat"balls made from walnuts, shiitake and dates for an added crunch. What is it? 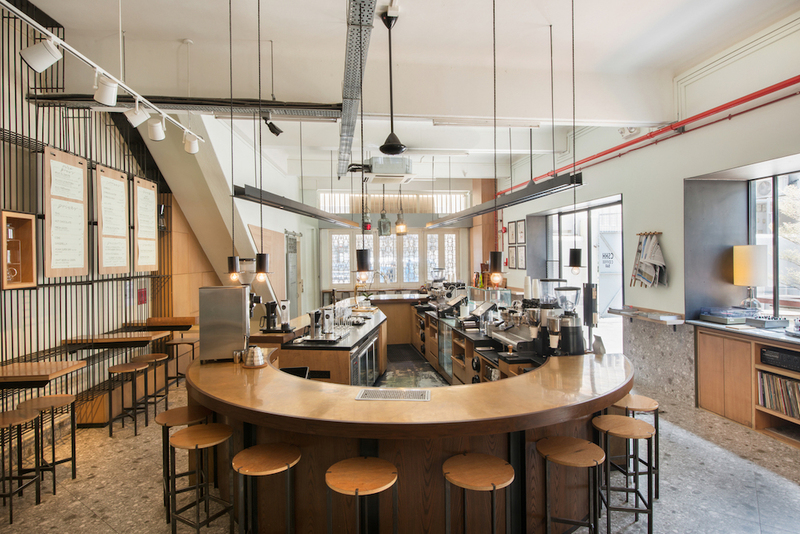 Local coffee roasters Papa Palheta helped pioneer the third-wave coffee scene in Singapore, particularly with the opening of their uber-popular café-retail complex, Chye Seng Huat Hardware (becoming one of the first joints to plant a flag in the hipster 'hood of Jalan Besar). Why go? Its house blends are roasted directly in the complex from single origin beans; there's also a retail wall with grinders and brew contraptions to release flavour from the beans. 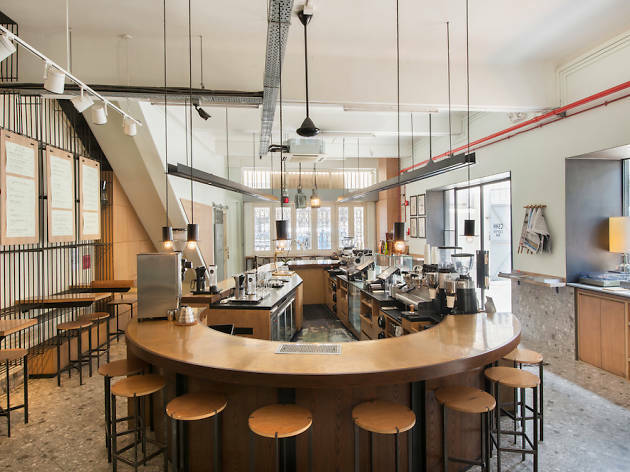 Don't miss: While their hot coffees are great, there's something about Singapore's balmy climes that make cold brews all the more satisfying. There's the black ($7) made with Ethiopia suke quto beans, white ($7.50) brewed with a throwback blend and the nitro ($7), a malty black coffee infused with nitrogen. What is it? 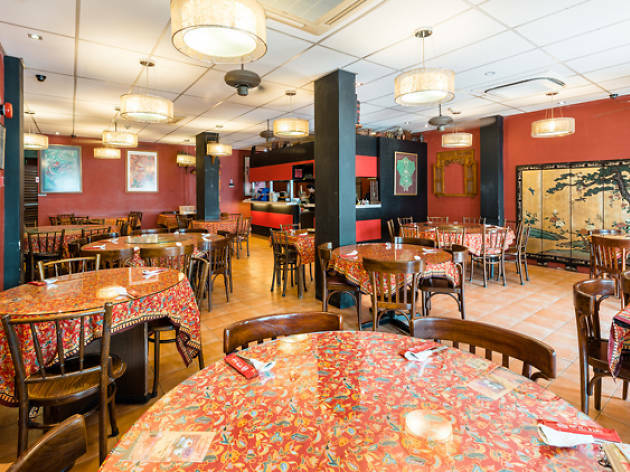 Zam Zam – its name refers to ‘holy water’ in Arabic – has been an institution in the Kampong Glam neighbourhood since the Kerala-born Abdul Kadir opened the restaurant there in 1908. The recipes have largely remained unchanged, and unhealthy, too. Why go? There’s no preventing the pong of oil and fried dough clinging to your clothes the moment you step into this grungy shophouse unit. But it’s well worth the smell. 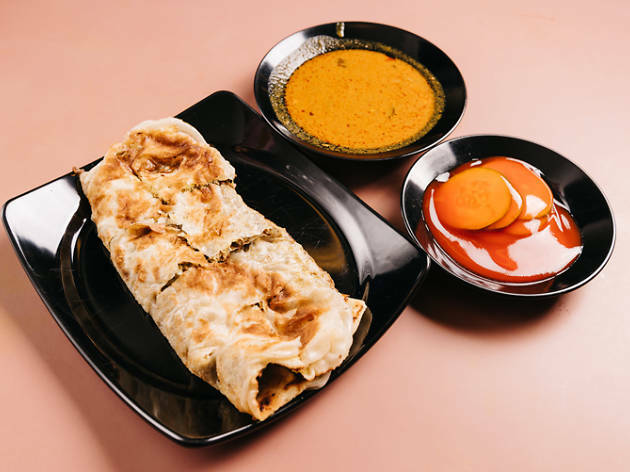 Zam Zam has been serving up its briyani (from $6) and murtabak (from $5) for well over a century, so you can be pretty much assured of getting the legit stuff. 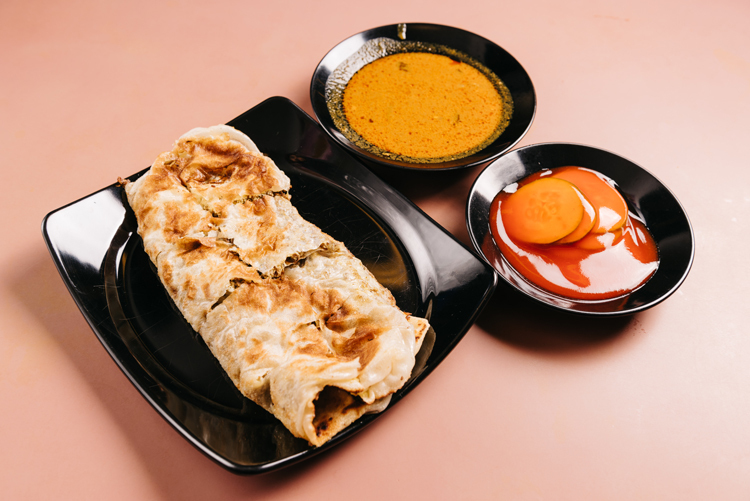 Don't miss: Forget about your diet and go for the mutton murtabak with a side of fish curry. It’s crispy on the edges and has more folds than an origami crane, within which you’ll find layers of onions, eggs and meat. If it’s briyani you’re after, Zam Zam makes its version Hyderabadi dum style: the meat is cooked together with the orange-flecked basmati, which makes the rice that much more fragrant. What is it? DIY is part of the fun at Hum Jin Pang in Maxwell Food Centre. 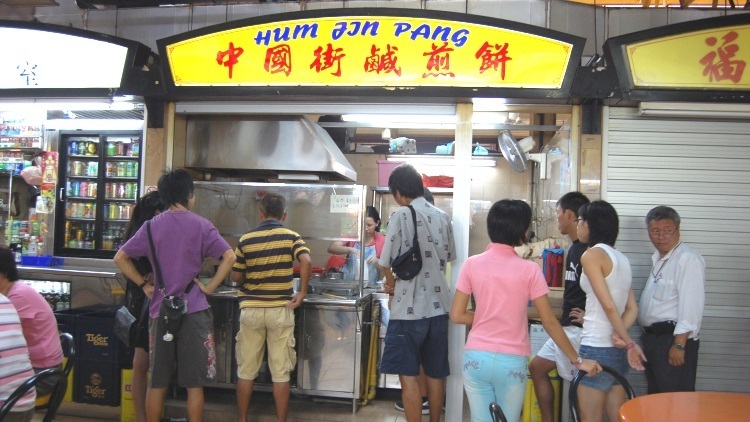 Customers at this hawker stall are required to fry their own hum jin pang (fried sweet-savoury pancakes). Join the queue, take note what the person in front of you does, and be sure to turn the pancake over quickly – the oil is hot and everything cooks really quickly. Why go? Where else are you going to get the experience of making your own local snack fried to your desired crispiness all for the low, low price of $1 for six pieces. Don't miss: There are only two options available – the fritters either come stuffed with sweet red bean paste or five spice so pick your preferred snack or just get both. What is it? 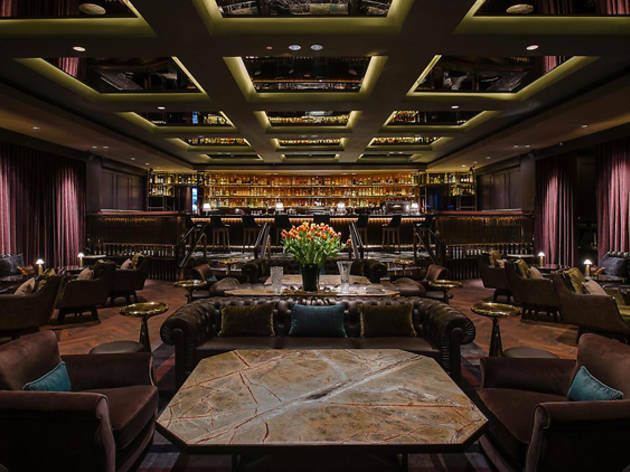 The third on the World's 50 Best Bars 2018 and number one on Asia's 50 Best Bars for two years in a row, Manhattan Bar at Regent Singapore is a portal to New York City where ladies are decorated in pearls and gentlemen dressed to the nines. Why go? The bar team is extremely friendly – and generous – there's a huge variety of cocktails on the menu so there's definitely something for everyone. The menu takes you through the ages of NYC, from the 1520s to the 1970s and recreates iconic drinks of the era. 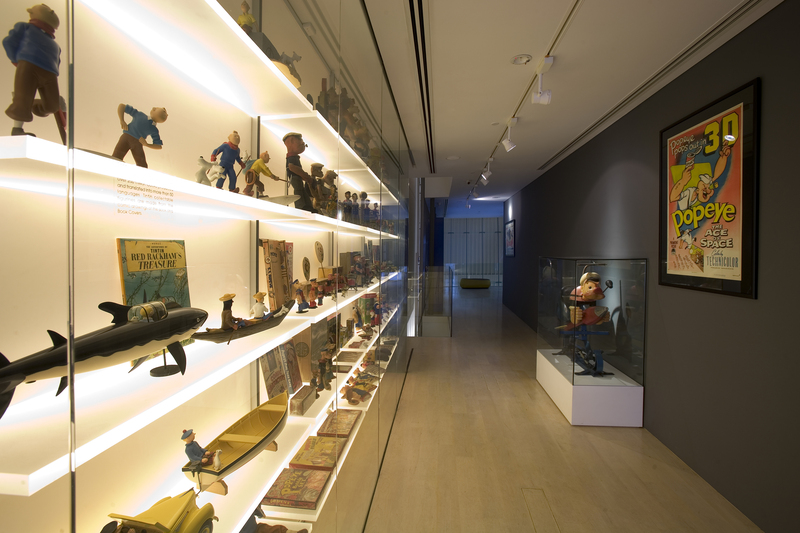 It also houses a large collection of American whiskeys if you're a bourbon connoisseur. Don't miss: The classic Manhattan ($25). Made with Michter’s US1 Straight Rye, house cherry brandy, Mancino Rosso vermouth and angostura bitters, this cocktail is the bar's signature for a reason. What is it? 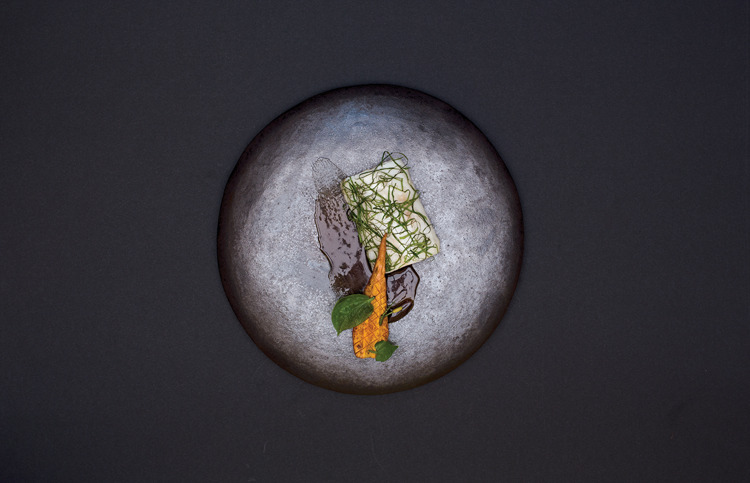 Chef-owner Ivan Brehm, who spent years working at The Fat Duck by Heston Blumenthal showcases what he dubs as 'crossroads cooking' at Nouri. It's food that takes inspiration from around the world, draws parallels between cultures, and creates an understanding that all of us are fundamentally the same. The idea is to connect people over a meal, as evidenced by the handsome marble counter that runs through half the restaurant. Why go? 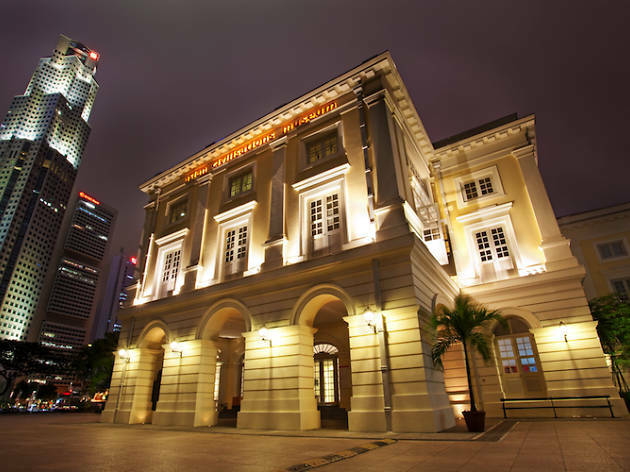 Nouri was crowned Time Out Singapore's best restaurant of 2017 and it earned a Michelin star within its first year of operation. The flavour combinations here are inventive yet familiar, and the technique is flawless. 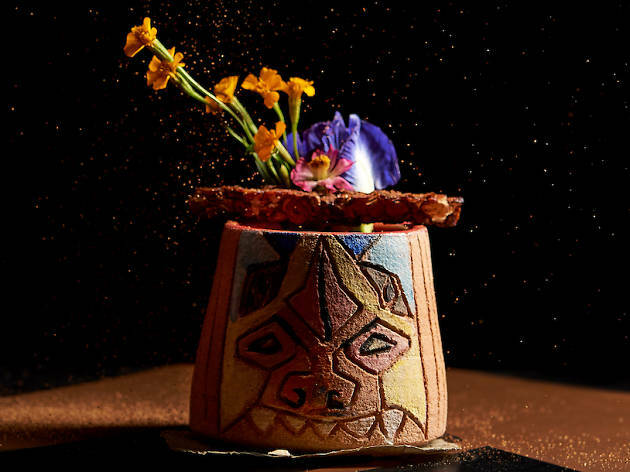 Don't miss: The acarajé and vatapá is a nod to Brehm’s Brazilian heritage, except that the dish also recalls Indian, Thai and Singaporean influences. What is it? With over 1,000 bottles of gin available, Atlas has the most diverse collection of the spirit in the world. It's definitely a shrine all gin lovers should make a pilgrimage to. Why go? Not a fan of gin? That's still no reason not to visit. 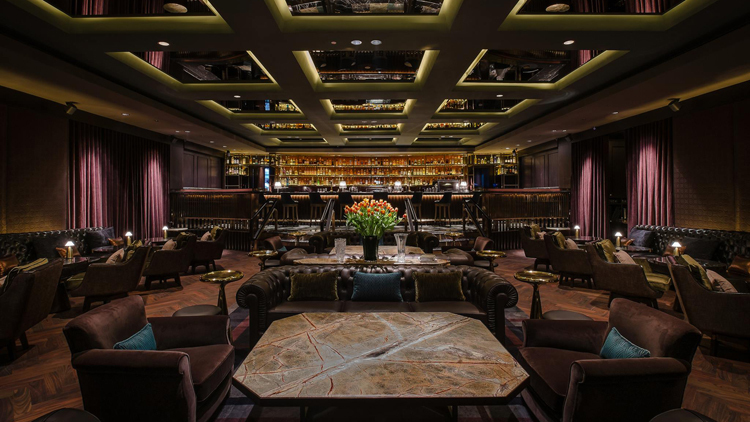 The grand art deco-inspired bar looks exactly like a European hotel lobby of the era is a spectacle in itself – with magnificent champagne-hued tapestries line the ceiling, intricate gold and bronze balconies surround the space. 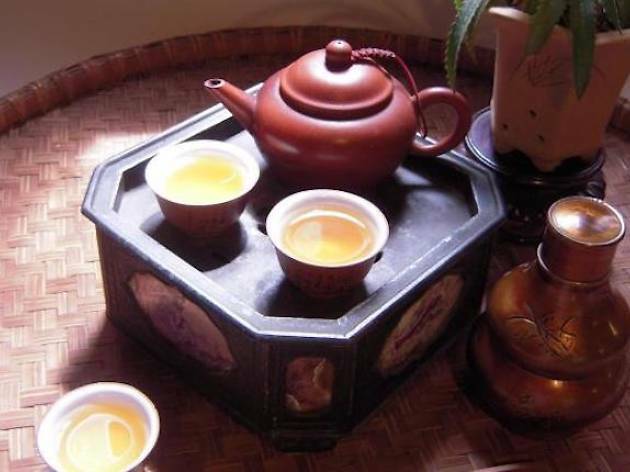 It also offers an extensive food, tea, coffee and non-alcoholic menu for the teetotalers. Don't miss: For an introduction to what the bar can do, get The ATLAS Martini ($24), a blend of gin, Ambrato vermouth, orange bitters, champagne vinegar and pomelo. What is it? 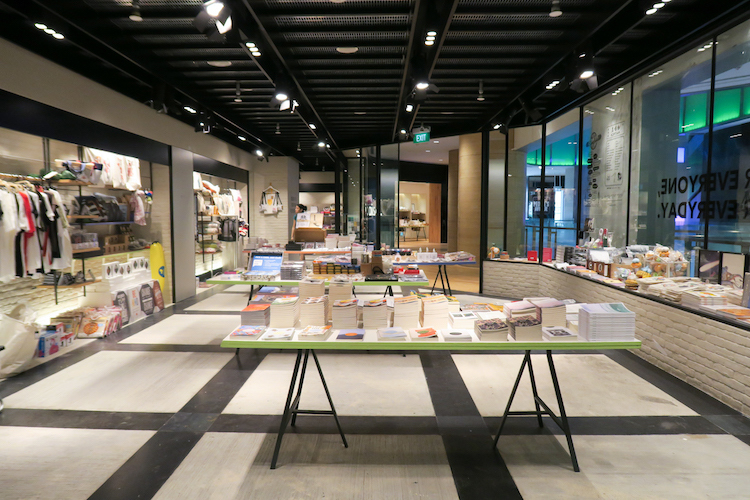 Loud, proud and local, the newly-opened Design Orchard features a fresh selection of Singaporean designers and makers. Why go? Over 60 brands calling the two-and-a-half-storey space home. Shop activewear from Kydra, home accessories from Onlewo, quirky knick-knacks from Pew Pew Patches, swimwear from Pinksalt, skincare from Pera and more. 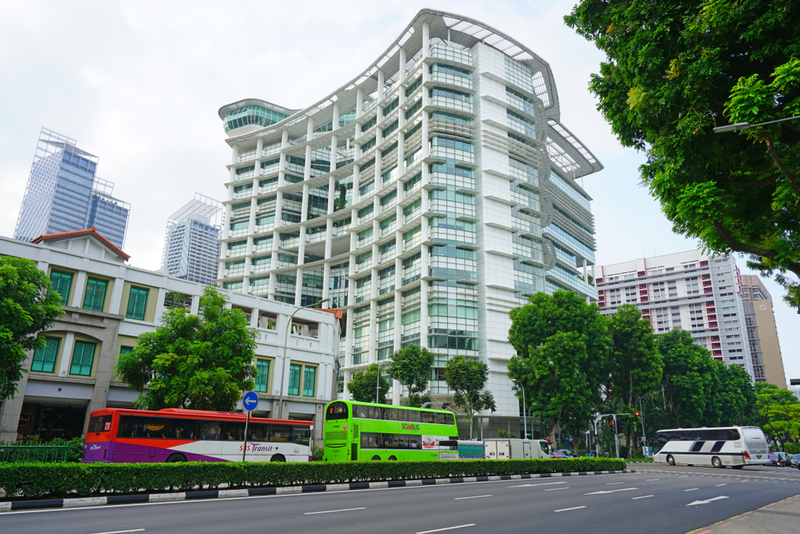 Don’t miss: Take a break at its rooftop garden which offers a birds-eye view of Orchard Road amongst lush greens. What is it? 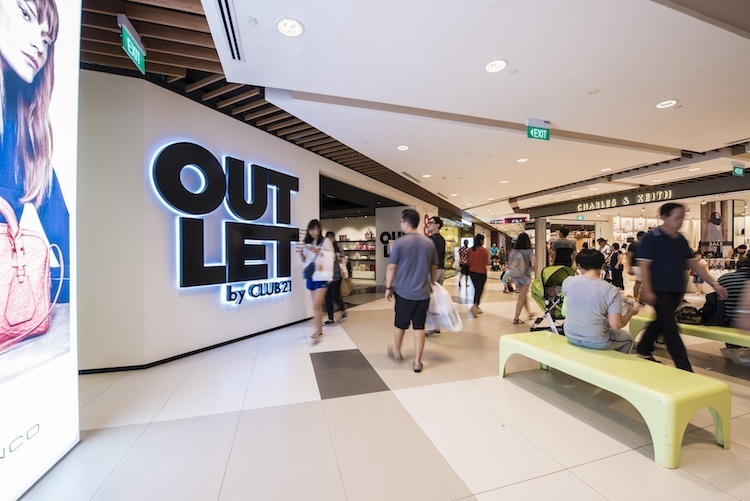 A floor-wide multi-label store carrying over 100 international brands at Orchard’s luxury shopping destination, Scotts Square. Why go? 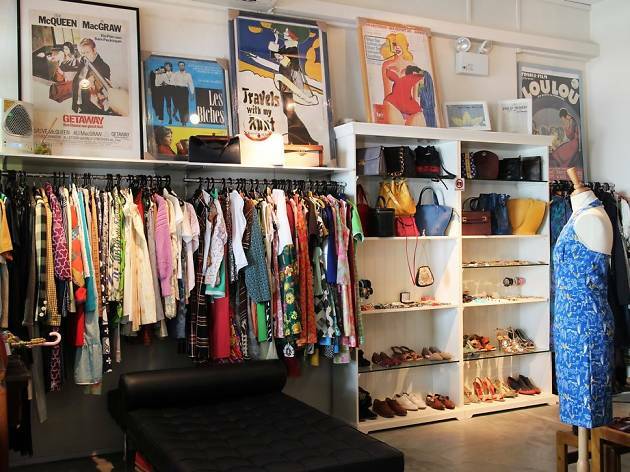 Occupying the entire second floor, Peddar on Scotts is a fashionista’s haven. Shop till you drop with its premium mix of fashion, footwear, handbags and accessories for men, women and kids. 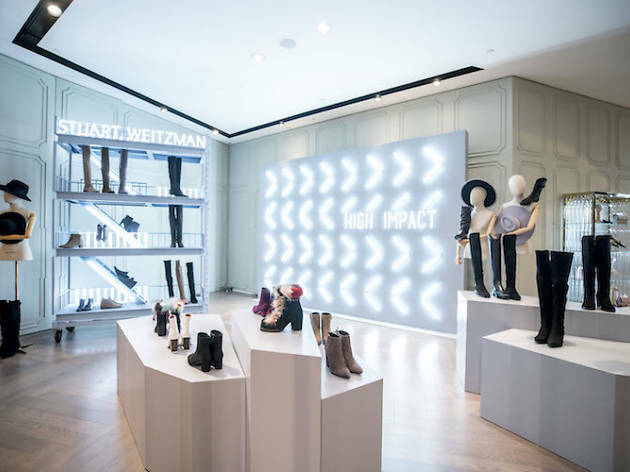 Snap up limited edition collections by luxury and contemporary designers such as Stella McCartney, Alexander Wang, Gianvito Rossi and many more. Don’t miss: Product releases and previews are often first launched here, so keep an eye on their socials for the latest updates. What is it? 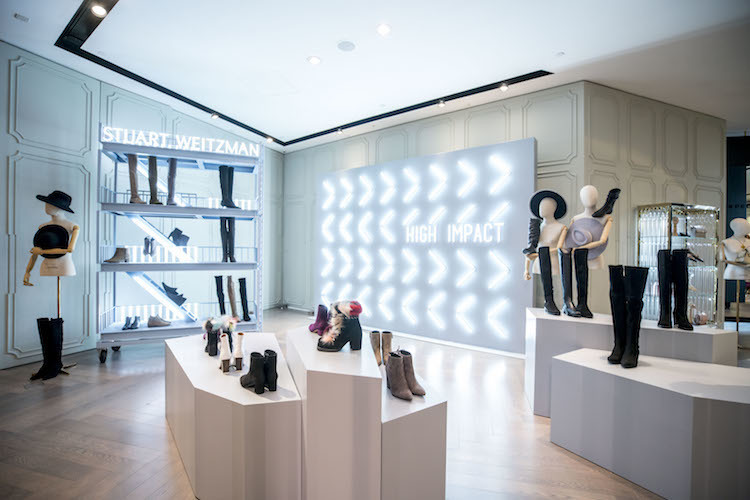 An art gallery-styled multi-label store and the fourth Dover Street Market outlet in the world after London, Tokyo and New York. Why go? For all the hypebeasts – and hypebaes – out there, Dover Street Market stocks a wide array of fashion statements from cult streetwear and designer brands like of Comme des Garçons, Moncler, Simone Rocha and Balenciaga. Don’t miss: Get your cameras ready and snap some cool pictures for the ‘gram. 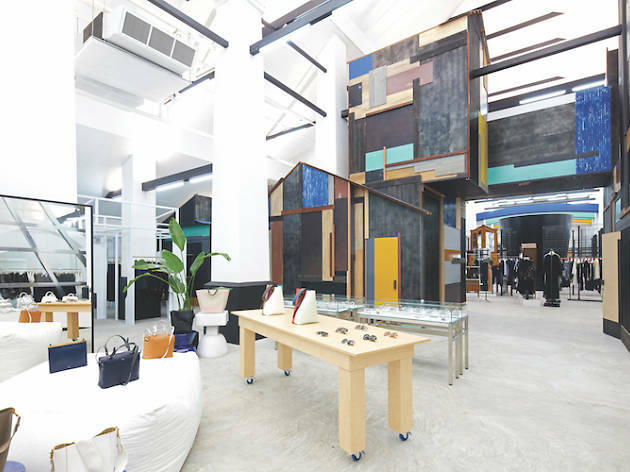 Housed in a converted army barracks with high ceilings, black cage-like grills as racks and a colourful ‘cashier’ hut, the space is as much a shopping paradise as it is a gallery dedicated to the art of fashion. What is it? 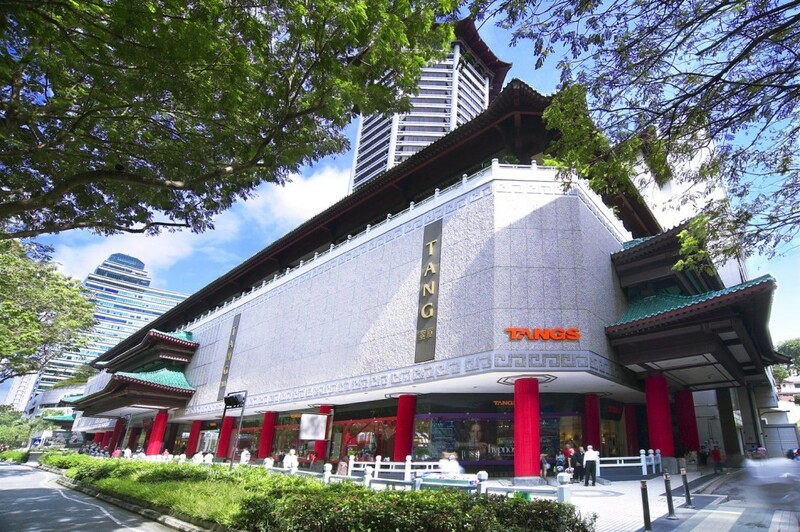 Singapore’s largest outlet shopping mall located in Jurong East. Why go? Everyone loves shopping, especially more so when everything is perpetually forever on sale. With over 90 brands such as Adidas, Club 21, Charles and Keith, and Coach selling off their past season’s collections at a fraction of the price, head on a shopping spree this weekend and get the best bang for your buck. Don’t miss: Prices are slashed up to 80 percent off all year round and based on a first-come-first-serve basis where products are no longer replenished once they’re all sold. A word of advice: snag that piece you’ve got your eye on immediately because it won’t be there the next time you visit the store. What is it? 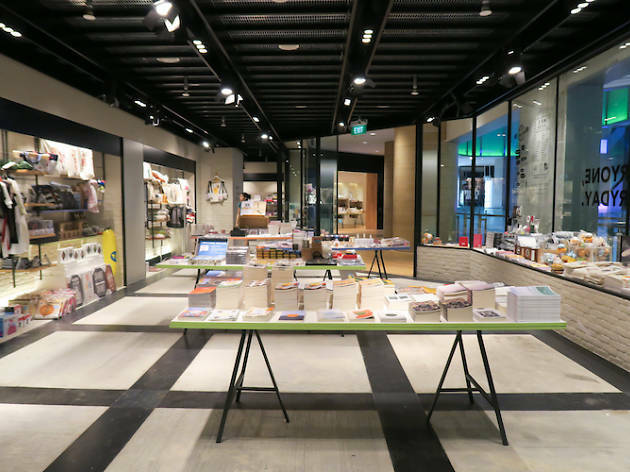 A homegrown lifestyle store carrying Singapore-designed products and cult international brands across six locations islandwide. Why go? Not a niche shop at all, Naiise offers all types of merchandise, ranging from local books, pretty planners and locally-flavoured snacks, to household items like lighting and cushions, as well as lifestyle products like candles by local brands Hush Candle and A Dose Of Something Good. Don’t miss: Watch its space – you’ll either find a limited edition merch or a darn good deal. What is it? 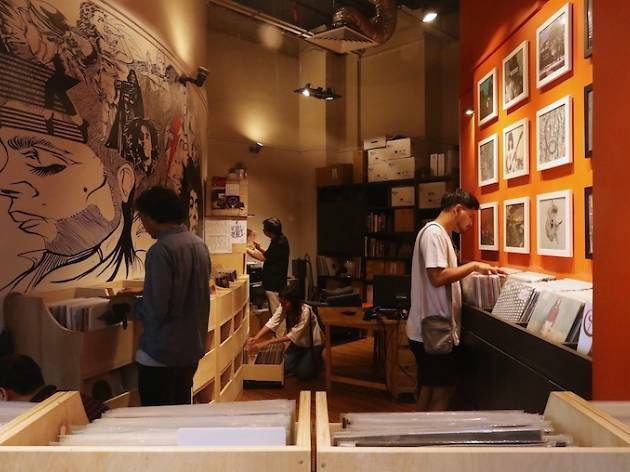 A music lifestyle and record store in Singapore labeled as one of the ‘world’s best record shops’ by UK vinyl lifestyle website The Vinyl Factory. Why go? 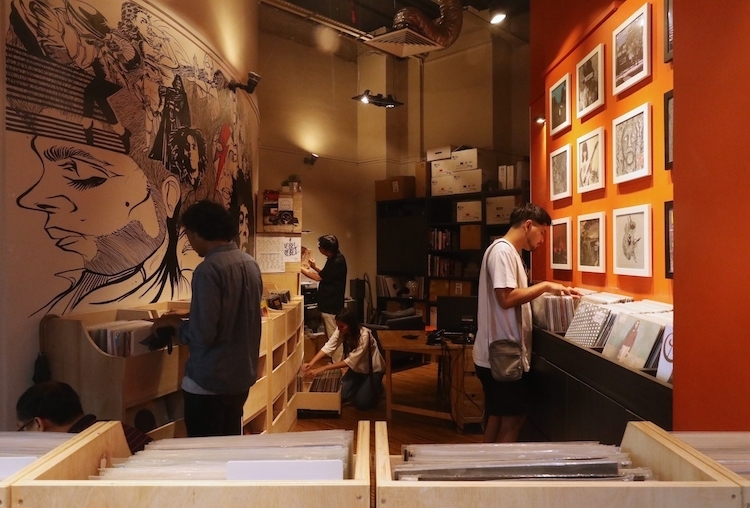 Enter into Hear Records and be awed by the wall lined with a vast, specially curated selection of records handpicked specifically by the owner Nick Tan. Expand your collection and dig through crates upon crates of 10,000 used vinyl and 5,000 new ones with weekly additions to keep things fresh. Don’t miss: Here’s a tip: Sign up for Tan’s monthly newsletter for special updates on the crates he hauls back from Japan, the UK, and the US. What is it? 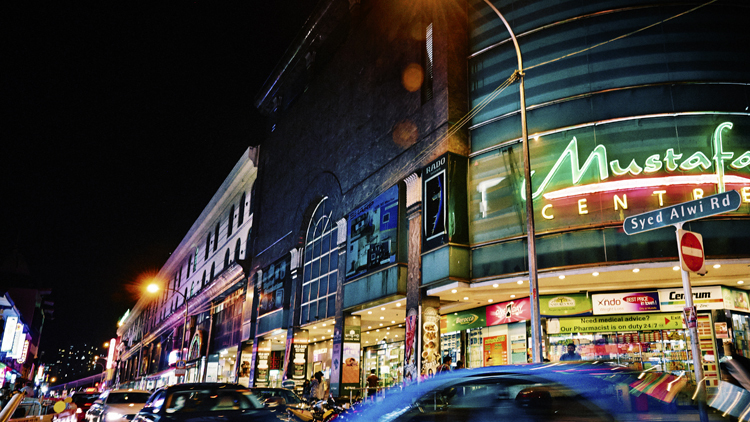 Singapore’s oldest homegrown iconic world-class departmental store with ‘All The Best Under One Roof’. Why go? 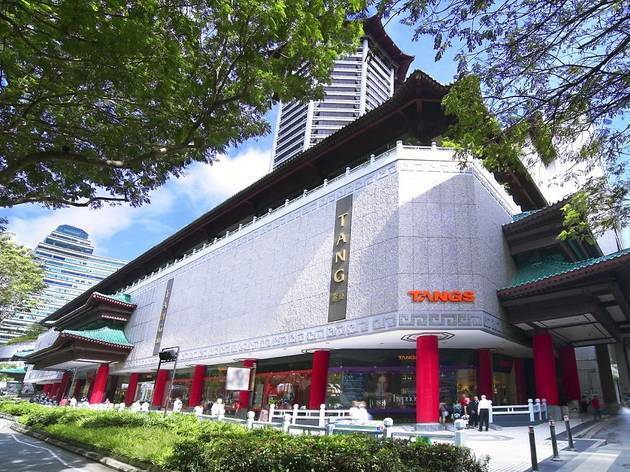 Conveniently located in the heart of Orchard Road, the iconic shopping destination Tangs at Tangs plaza boasts of a broad mix of local and international brands across fashion, beauty, home, kids outlets and food and beverage establishments. All of which are nestled in a comfortable and intimate shopping experience. 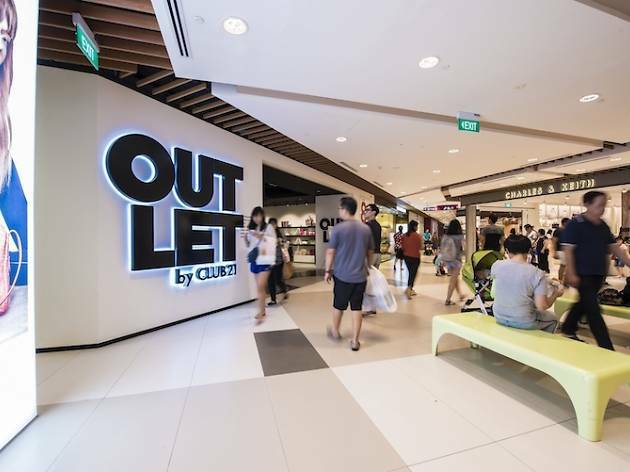 Don’t miss: Both Tangs outlets at VivoCity and Orchard feature an in-house DHL service for shoppers to conveniently mail packages overseas, perfect for that last minute Christmas or birthday present. What is it? 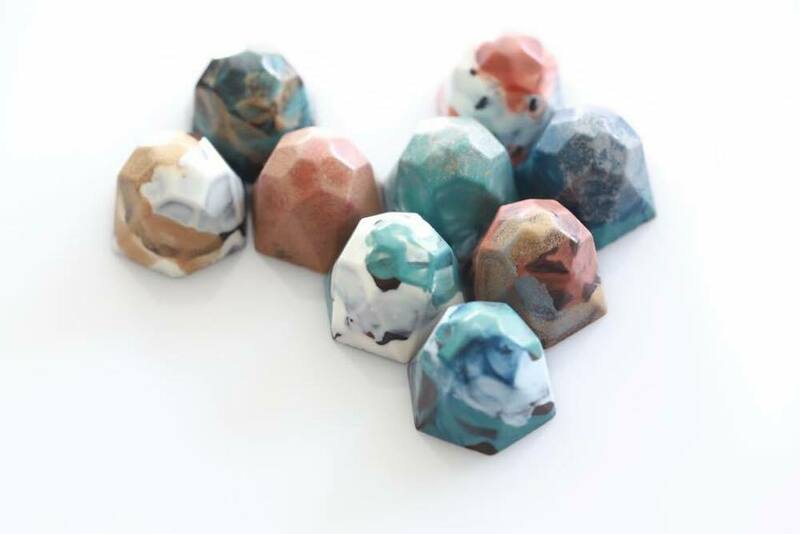 A local ceramic studio creating functional and beautiful wares out of mud and clay, run by owners Michelle Lim and Lim Seok Ha. Why go? 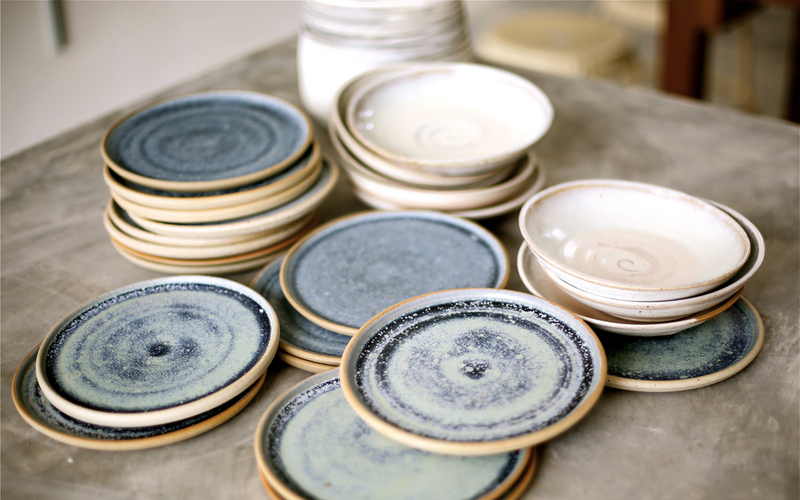 Perk up your table setting game with some beautiful and functional tableware from Mud Rock Ceramics. 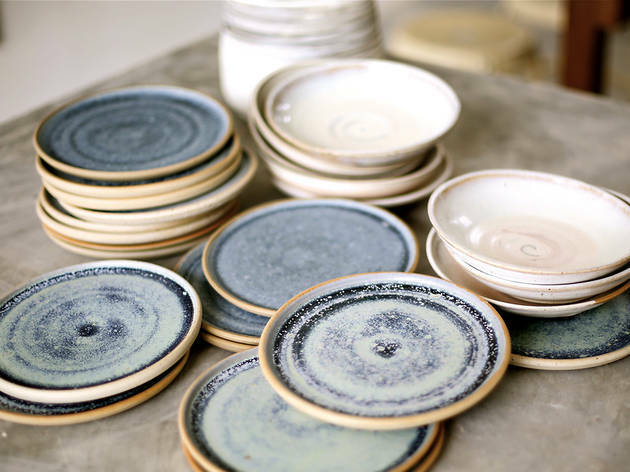 Lovingly and painstakingly made out of just mud and clay, browse through the range of intricate one-of-a-kind ceramic handmade wares that have been glazed with their own in-house glaze recipe and fired to ensure they are food, dishwasher and microwave safe. 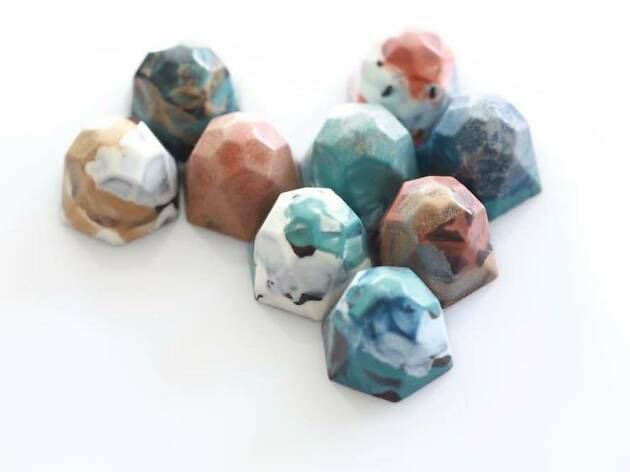 Don’t miss: If you want to try your hand at making your very own wares, they run weekly beginners and intermediate ceramic workshops where you learn about the different techniques and intricacies of ceramics-making. Keep an eye out for their bi-annual open studio sales happening for a day in July and another in December. 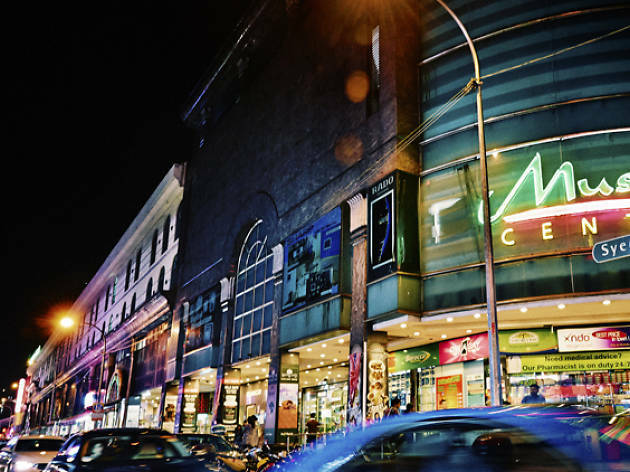 What is it: Little India’s seven-storey shopping mall that is open ‘round the clock. Why go? It has a chock-full of offerings – from groceries to electronics and apparel to quirky paraphernalia at affordable prices – that are bound to delight all intrepid bargain hunters looking for a good deal. 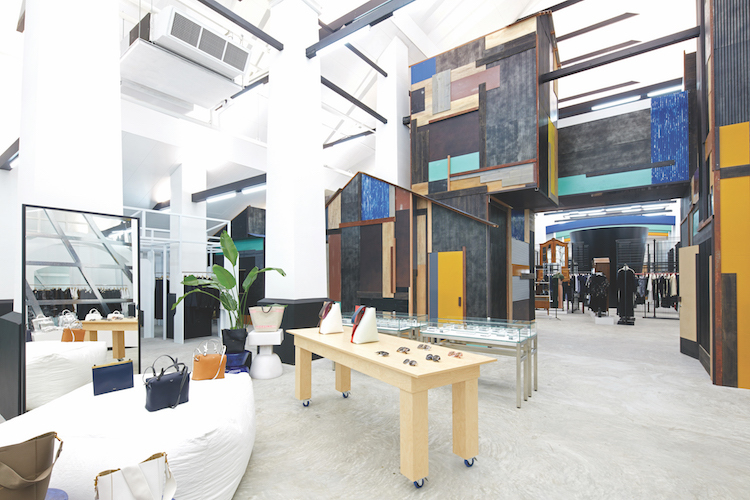 Don’t miss: Skip the weekend crowds and head down during weekday afternoons for a breezy shop. Also, a word of warning: your bags will be cable tied upon entering, so carry a small crossbody bag or a tote to avoid getting your phone and wallet stuck in the bag. What is it? Don’t expect a furniture boutique. 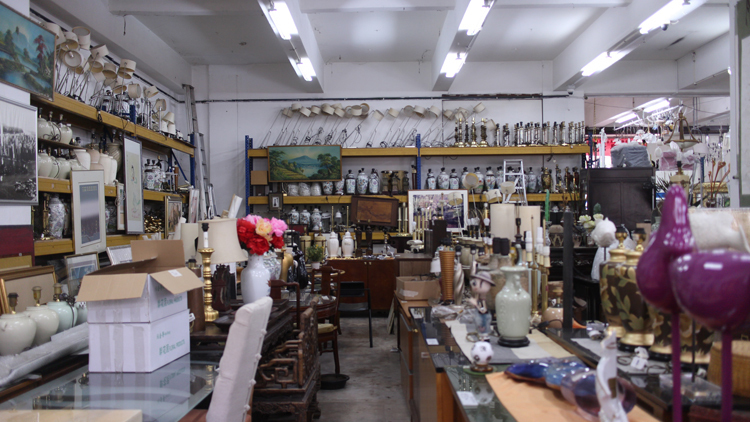 This cosy, industrial store is home to antiques and second-hand furniture – great for injecting a little eclecticism into your home. Why go? 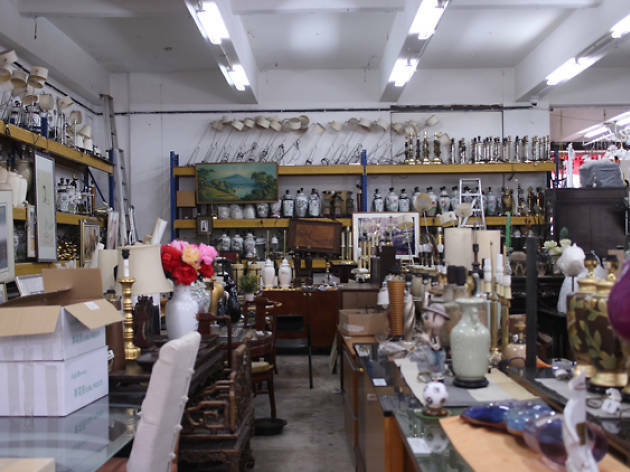 This sprawling Tai Seng store is neatly (and tightly) packed with a wide range of styles from vintage rosewood to mid-century and the occasional upcycled item – these are sourced from hotels, show flats, defunct furniture shops and the like. Prices range from $15 for a lamp to $3,000 for a plaster statue of Stamford Raffles. Don’t miss: Spend a good few hours sniffing out the hidden gems here. Put your bargaining skills to the test. If you succeed, you might even score your loot at a much cheaper price. What is it? Tucked in Haji Lane, this independent bicycle boutique has been knocking out lightweight, attractive bicycles since the original shop opened in Tokyo almost ten years back. The concept is simple: comfort above speed. Why go? It has all things bicycle, from the complete range of frame designs and colours, right through to similarly designed flasks, pumps and adorable handmade wicker baskets. Don’t miss: Ditch your old ride for a new one or get the pros here to take a closer look at your current bike for tips on a fresh makeover. What is it? 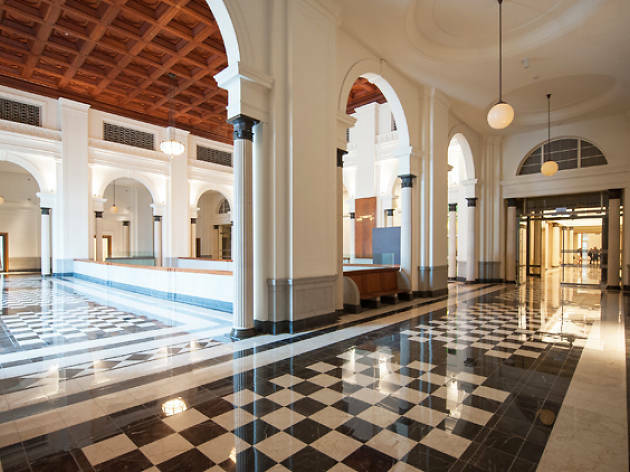 A bookstore, event and café space – all in one. Why go: The Moon is a whimsical space that brings you into the library of your favourite chronicles with a wide variety of genres from modern literature to illustrated cooking books and thought-provoking non-fiction reads for you to browse through. 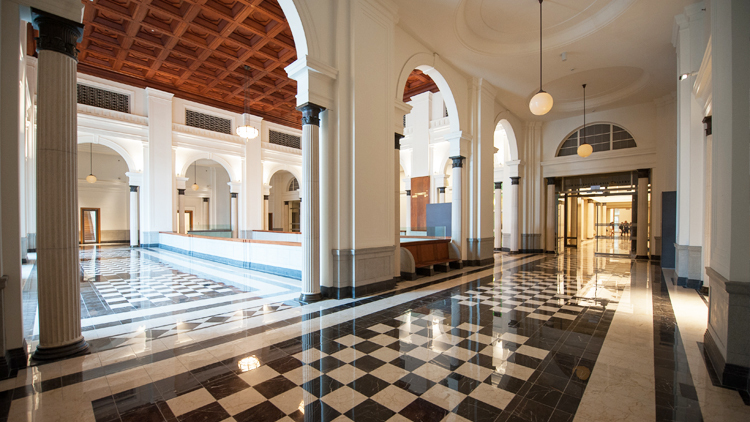 Don’t miss: With its warm lighting, wood furniture and comfy plush cushions sprawled across the reading room on the third floor, The Moon is the newest and coolest spot for an afternoon read with a cup of coffee in hand. Head back for cool events such as a pop-up market or an intimate party. What is it? This local label not only sources and sells genuine vintage purses, bags, shoes and dresses from across the world, but also designs its very own line of retro-inspired dresses. Why go? Favouring fresh floral patterns and feminine designs, the brand carries clothing from the ’50s to ’90s that include vintage kimonos, ’60s scooter dresses and ’80s batik shifts. Don’t miss: Those with more expensive tastes will adore Dustbunny’s collection of rare designer handbags by Chanel, Hermès, Gucci, Louis Vuitton, Salvatore Ferragamo and Bottega Veneta. Clothes and accessories start from $45, while luxury bags costs between $950 and $9,000. What is it? 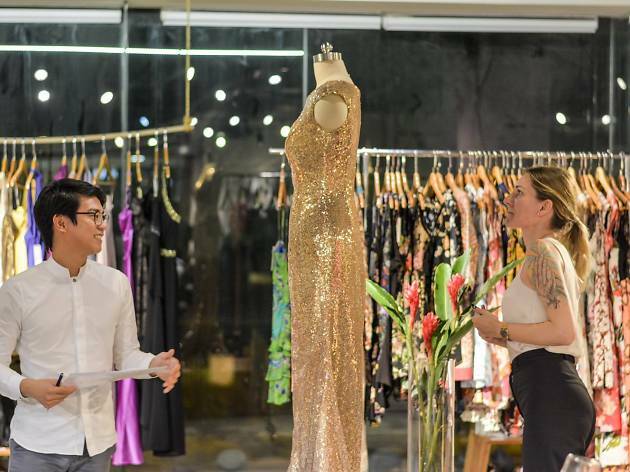 Championing the sustainable movement in Singapore, The Fashion Pulpit is a physical store where you can swap preloved clothes and accessories, and even buy them. Why go? Their collection is vast – you can find both high street and designer pieces in the mix and prices are kept affordable. Don’t miss: Sign up to be a 'swapper' and enjoy benefits like racking up those swap points for an incredible item and joining in on the fun events. What is it? 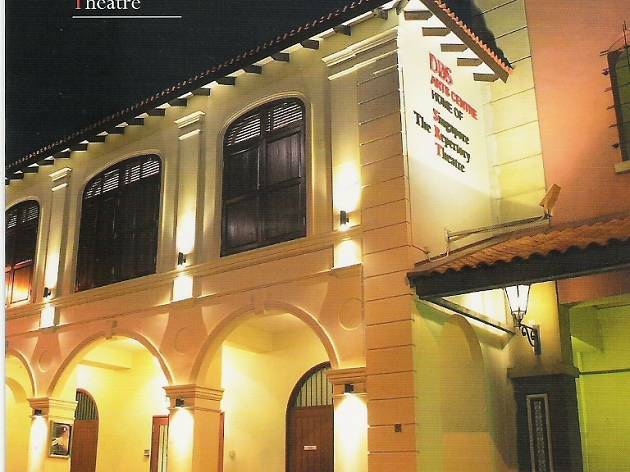 The NCO Club's live entertainment lounge which sees a rotation of international acts including big bands and jazz mavens gracing its stage. Why go? 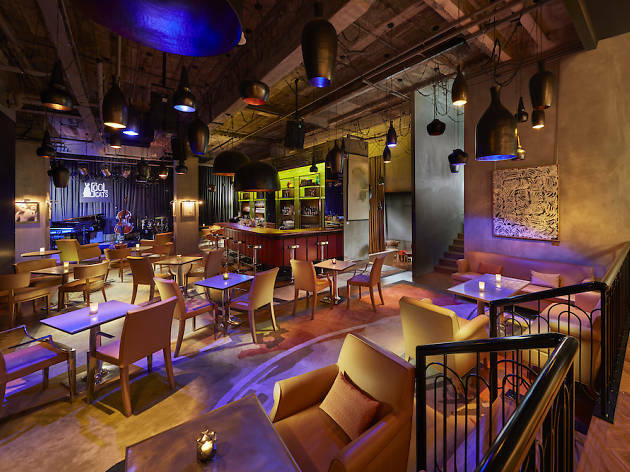 A cool cat’s cave, this jazz venue has a secretive bar that exudes the enigmatic charm of the prohibition era mixed with contemporary chic. The theme of old meets new spills into its offerings as well. Don’t miss: Stop by the bar and let one of its resident bartenders mix you signature cocktails including a mezcal Negroni and The White Lady, classic cocktails that are given a slight update by using different syrups and ingredients. What is it? 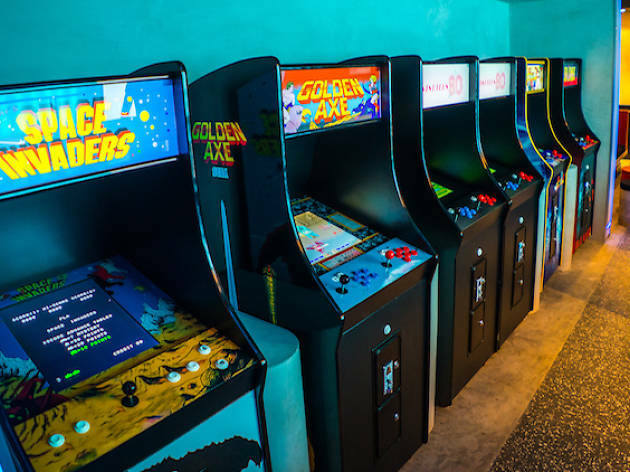 A retro arcade bar serving throwback tunes, vintage interiors and magical cocktails bursting with nostalgia. Why go? It brings you back to the good ol’ days you thought got lost in time. 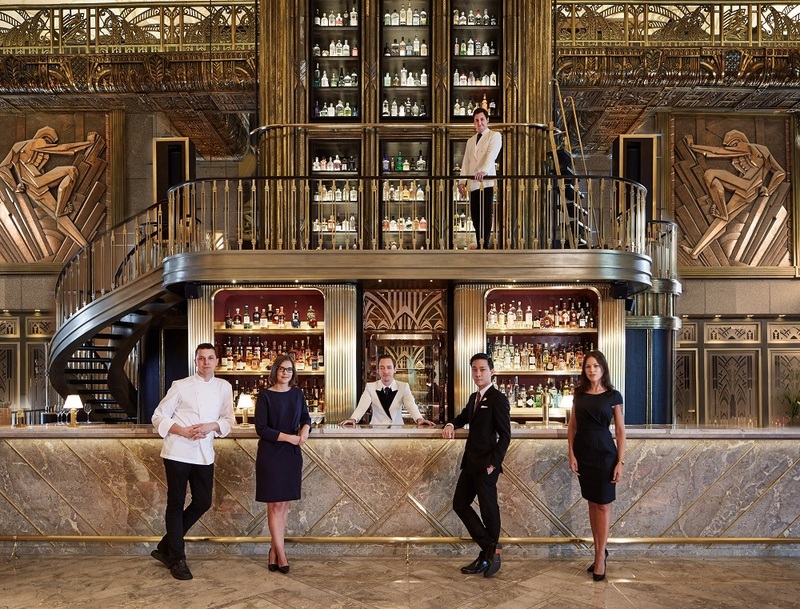 Along with singalong hits from the 80s and 90s à la Whitney Houston, Britney Spears and Spice Girls, the interiors make the perfect backdrop for a #throwbackthursday snapshot. At the entrance, the iconic 'Press Start' button greets you and inside, the bar is decorated with neon lights and pixelated wall murals. 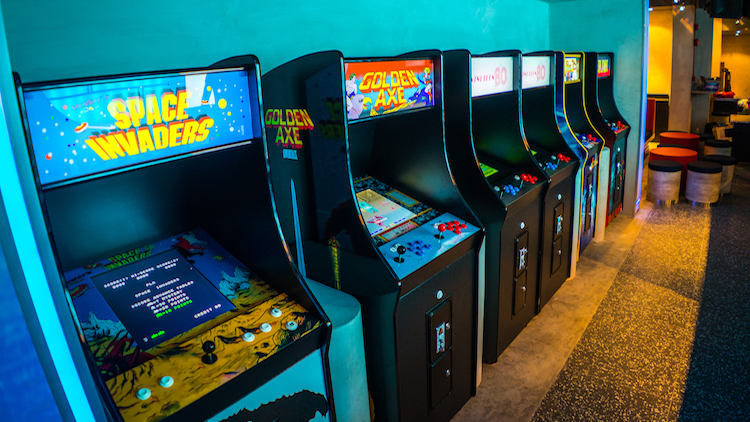 Don’t miss: Have a dig at a wide range of old school arcade games like Street Fighter, Pacman and Space Invaders. Trust us, you’ll be quoting Doc Brown’s “We have to go back!” by the end of the night. What is it? 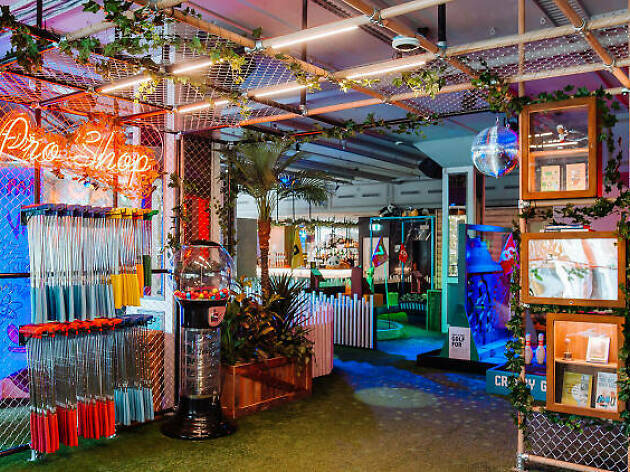 Holey Moley is a whimsical playground in Clark Quay where you can drink, feast and also enjoy a competitive (or not) game of mini golf. Why go? 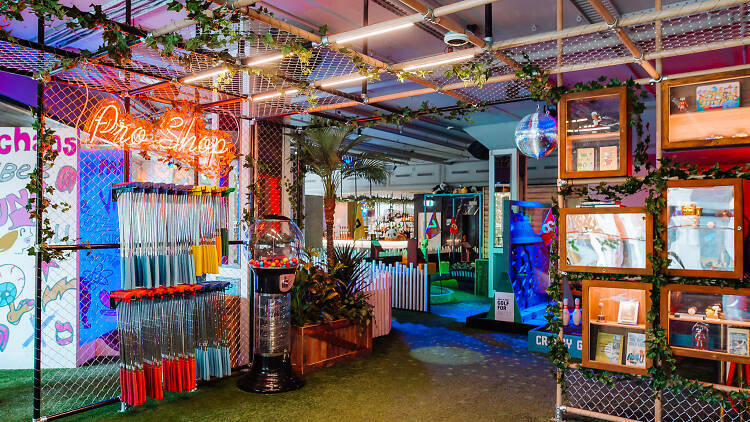 Whether it's for a fun first date or for an epic office party, Holey Moley is the perfect setting if you're looking to have fun, get a little competitive and of course wind down (or party on!) with the sharing platters and massive cocktails. Don’t miss: Attempt the putting hole ‘Upside Down’ which takes on all the deliciousness of a hawker centre dinner – with a literal twist. Don’t forget to look up! Play on more holes and you'll also discover a model of Marina Bay Sands being attacked by Godzilla. What is it? 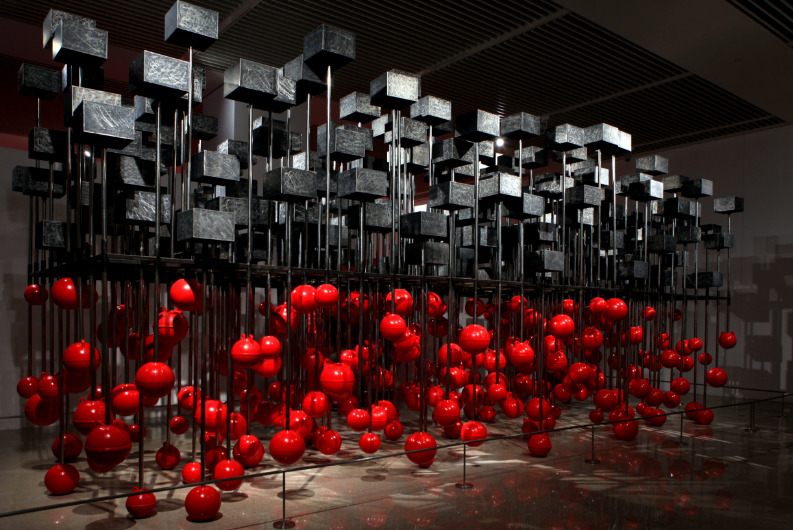 Founded by award-winning pastry chef Janice Wong, this chic contemporary dessert bar specialises in elaborate sweets. Why go? 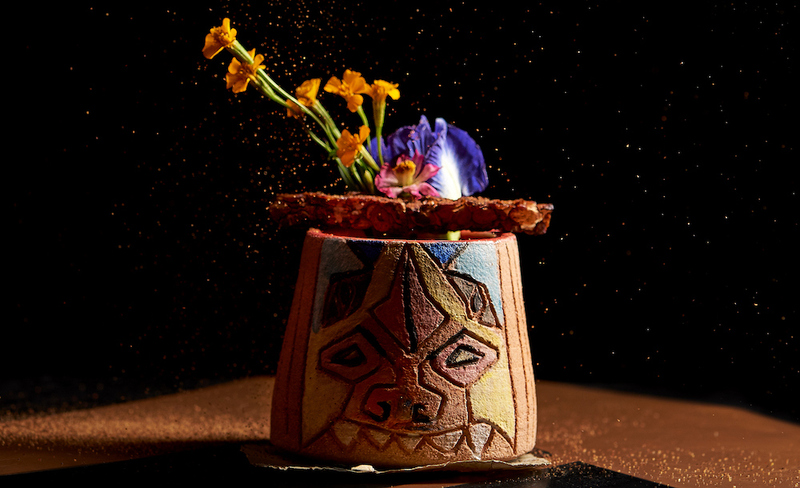 Despite its hefty price tag, it serves up some impressive treats with gorgeous blends of art and culture, all condensed onto a meticulously crafted masterpiece – the dessert. Treat your sweet tooth to a slice of the chocolate praline poprocks cake, the signature cassis plum and Shades of Green, served with pistachio sponge, coco mousse and pandan ice cream. Don’t miss: Tickle your taste buds with the Singapore signature series of its chocolate bonbons. Flavours include chilli padi, gula Melaka pandan, kaffir lime caramel, laksa leaf lemongrass, milk tea, gingerflower, mango curry, coffee and barbecue pork praline poprocks. What is it? 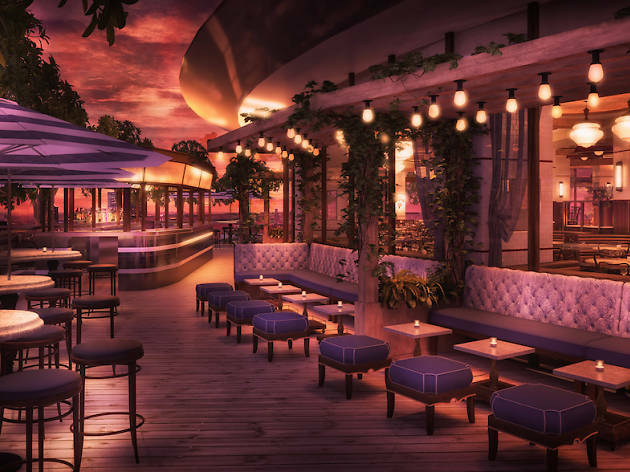 Located at the iconic Sands SkyPark, the Lavo Italian Restaurant & Rooftop Bar is a fresh and unprecedented dining concept that incorporates an alluring mix of world-class dining, music and nightlife in one space. Why go? You don’t have to book a ticket to the Big Apple at Lavo. Dripping with New York vibes, it’s also the perfect place to unwind with cocktails and heavenly plates of pasta and brick-oven pizza while enjoying the killer view of our city skyline. 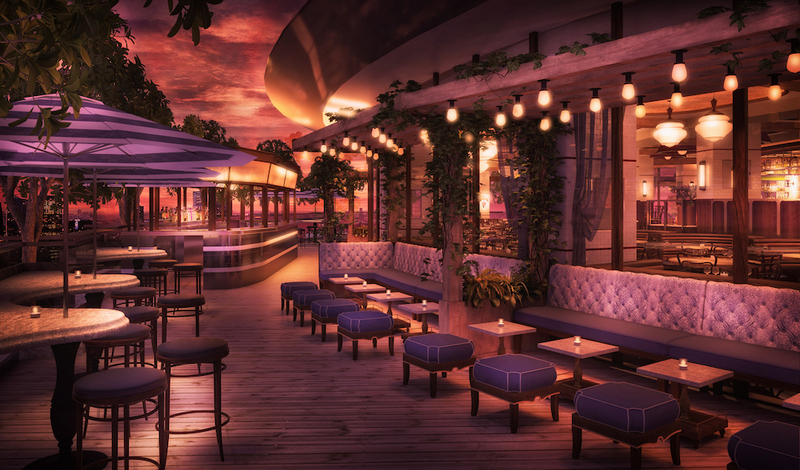 Don’t miss: Stay late for a late-night boogie at the outdoor bar and terrace where DJs dish out anthems ‘til 2am. Did we mention big names like Jamie Foxx and Jermaine Dupri taking parties to another level here? What is it? 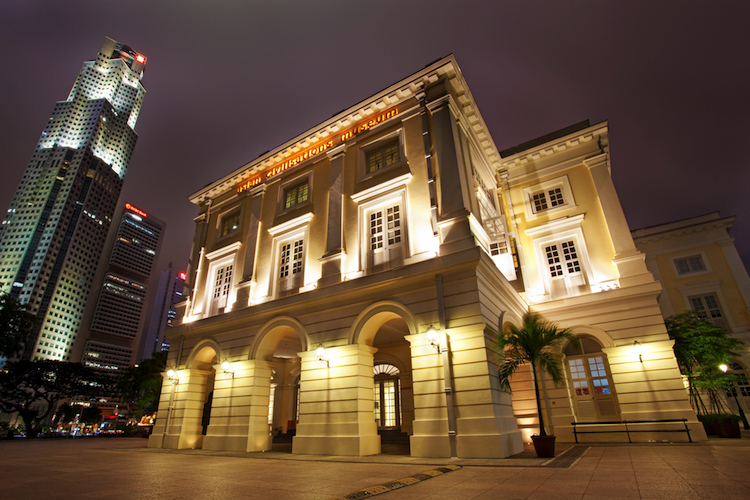 A top-notch restaurant, bar and club decked with plush daybeds and a pool by the sunkissed Sentosa beach. Why go? Not only does it serve laid-back chill and all-around good vibes to work up a tan by the sea, Tanjong Beach Club also serves refined plates inspired by coastal cuisines from around the world and innovative cocktails for a tropical wind down. 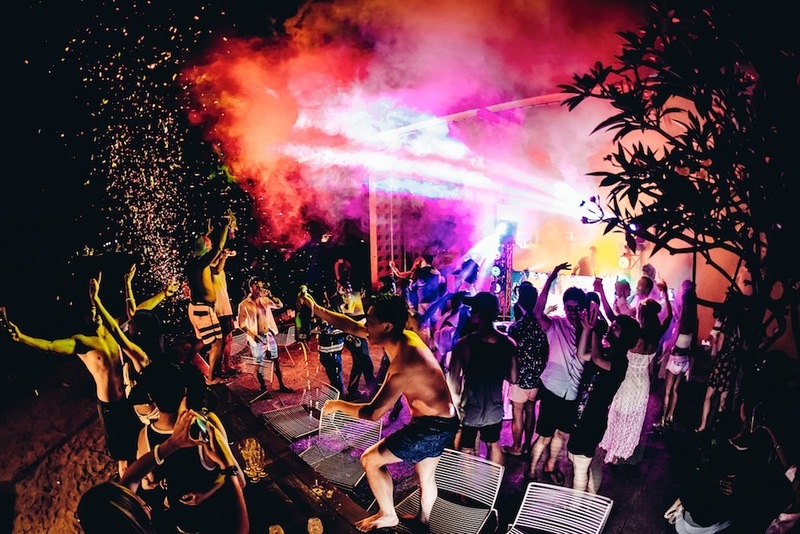 Come night time, it turns into a nightlife playground where you can rave the night away to a blaring mix of Balearic house, beach boogie and sunshine soul. 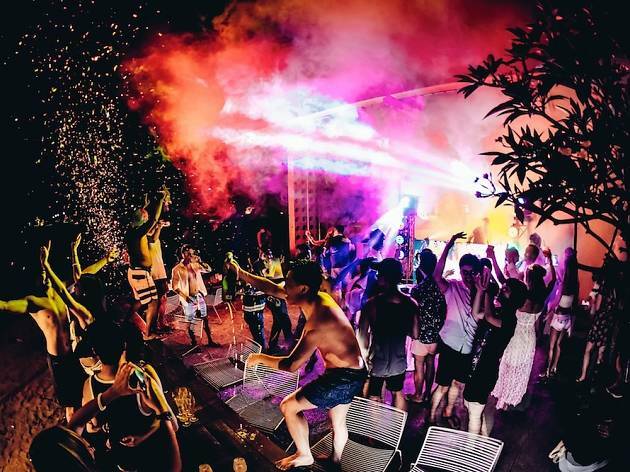 Don’t miss: The beach club also plays hosts to a slew of parties including its Barefoot Tiki Nights series, Smack My Beach Up series and more where local and international guest DJs are invited to helm the decks for an Ibiza-esque shindig. What is it? 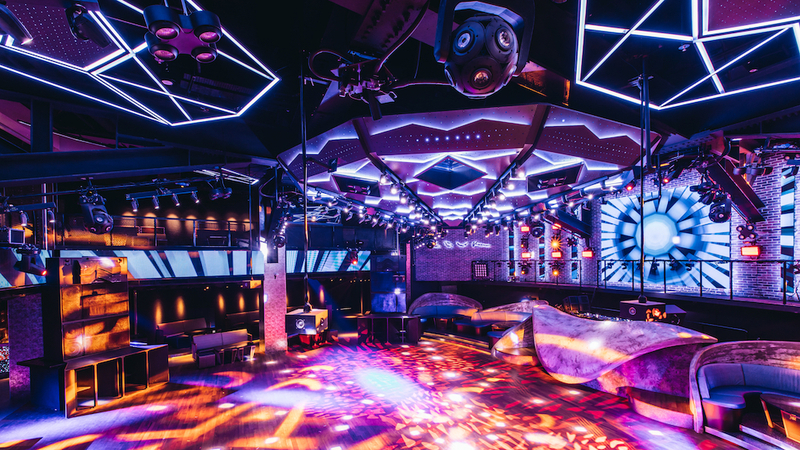 A world-class nightclub at Clarke Quay that spans across two floors featuring a main dance room for EDM lovers, Phuture which pumps out smooth R&B tunes and luxe lounge Capitol for a mix of deep house and nu-disco beats. Why go? 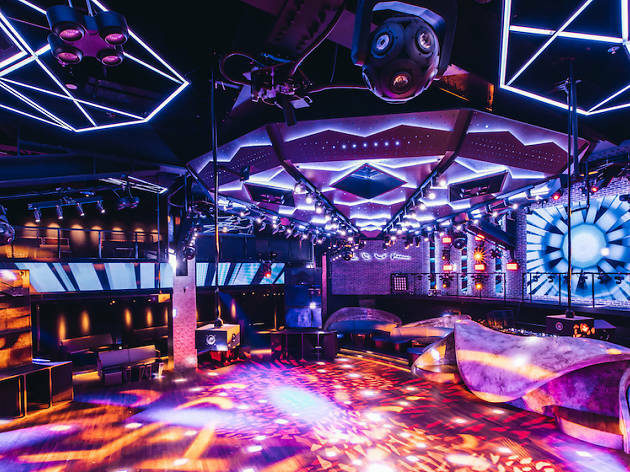 Championing dance music, the city’s longest running nightlife institution has attracted some of the biggest names including Avicii, Paul Oakenfold, Hardwell and the Chemical Brothers. It also invites local DJs up on decks to spin hard-hitting club bangers. Don’t miss: Regular club nights such as Thursday Night Hustle, Phuture Thursdays, Crowd Control and more featuring special guest DJs from around the globe, as well as ace resident turntablists. What is it? 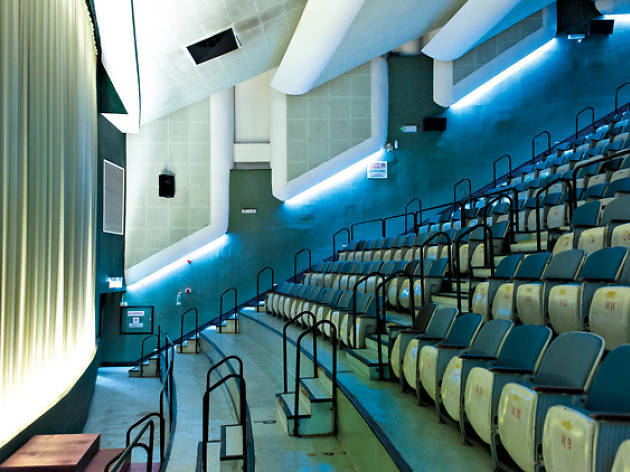 An alternative cinema decked with bean bags and retro seats, all housed in the historic Golden Theatre atop the Golden Mile Tower. Why go? 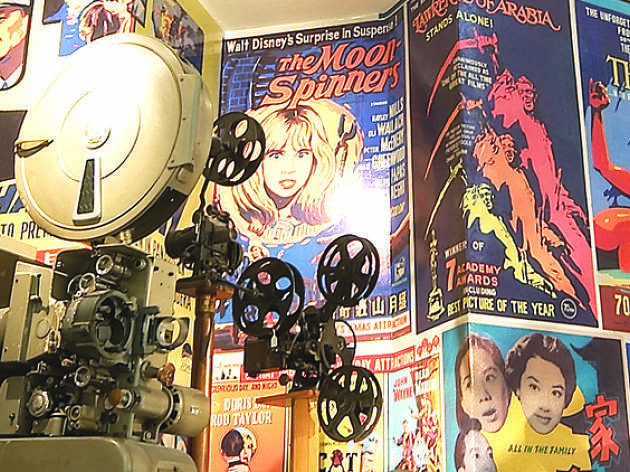 The Projector screens a selection of flicks such as cult favourites, arthouse, documentary, foreign and local, as well as new releases that aren’t screen anywhere else in the city. 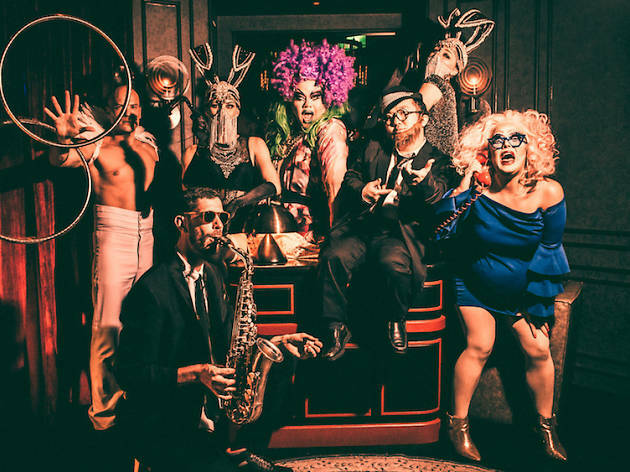 Don’t miss: Look out for its special-themed nights that are presented alongside homegrown drag collective The Glory Hoes, bringing together a series of queer films with glamourous disco after-parties to boot. What it it? A charming, bohemian-inspired dive bar in Haji Lane, adorned with a kaleidoscope of printed cushions and kaftans over wooden benches. Why go? Swap your regular cafes and bars for this hippie-esque retreat. 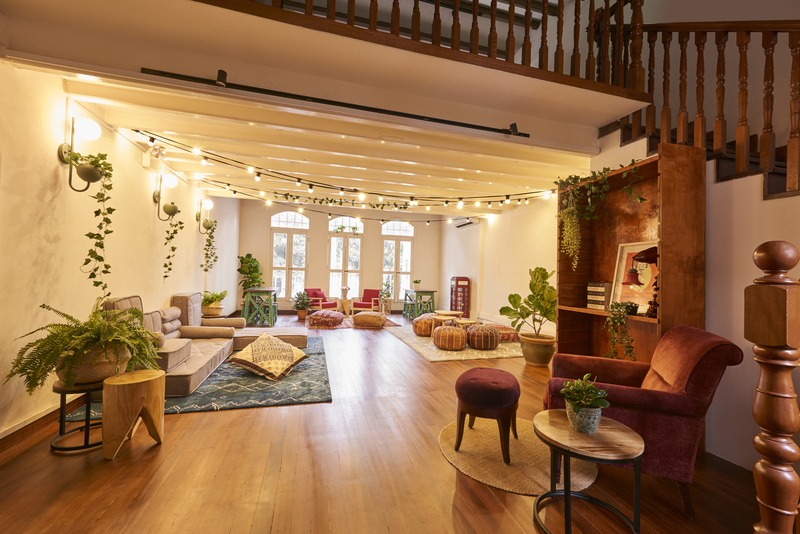 But chew on this: Going Om also offers alternative services such as card readings, holistic healing, as well as yoga and meditation classes. Don’t miss: Between Tuesday and Sunday nights, settle yourself at the alfresco cafe and accompanied by street performers as they belt out their acoustic renditions of Top 40 hits. What is it? Inspired by the back alley clubs of New York in the 60's, LuLu's Lounge is decked with plush red sofas, ritzy chandeliers and a vintage jukebox. Why go? Sit back and relax as the club entertains guests with hours of live jazz, special performances and innovative cocktail selections before pumping out boogie music reminiscent of the 70's, as well as hip-hop, with international DJs flying in to spin a mix of R&B and dancehall. 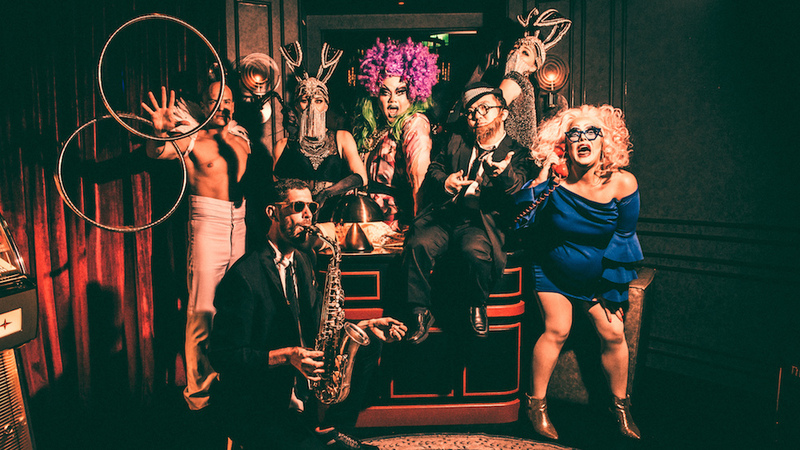 Don't miss: Spend your Wednesday and Saturday nights with resident drag queen Becca D'Bus as she plays hostess to keep you entertained with burlesque, boylesque and other odd delights. What is it? 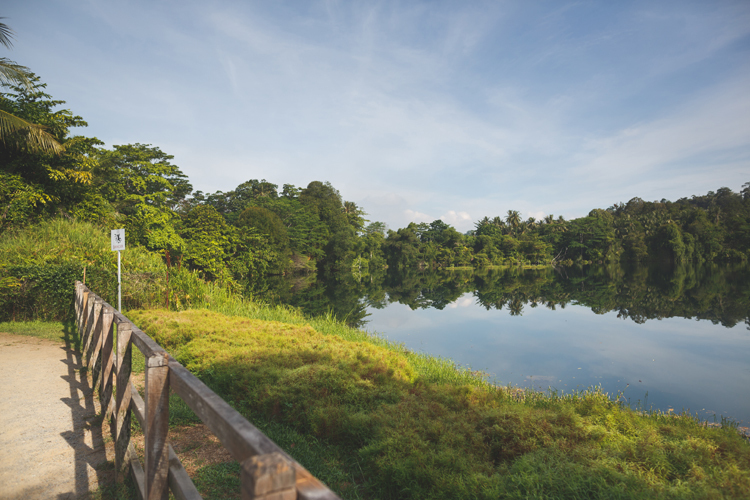 Open 24/7, this scenic multi-recreational park in Yishun makes the perfect sanctuary for nature lovers. Why go? ORTO is the largest prawning facility in Singapore. The space has a total of 10 ponds inhabited by big head prawns and yabbies among others. Embrace the thrill of catching your very own fresh batch of seafood with friends and families. Kids can also try their hand in longkang fishing. Don’t miss: While you’re at it, barbecue your catch at the available electric grills at no extra cost. What is it? 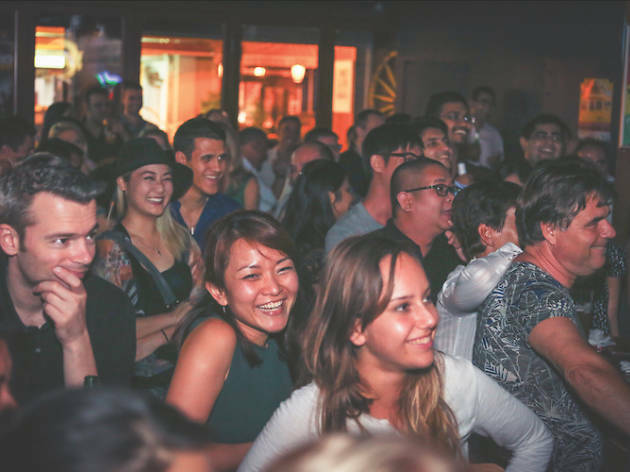 A comedy night series hosted at Hero’s – a bar along the Singapore River that also showcases live music performances and screens sports games. Why go? It’s the perfect place to loosen up your tie and kick back. Get your fair share of playful banter, side-splitting jokes and loads of cheap booze. You can also pull your own pints at the bar’s VIP beer tables equipped with two draft beer taps and order up a hearty fare from the kitchen helmed by gourmet burger company BERGs to satisfy those hunger pangs. Don’t miss? Held every Tuesday night, Comedy Masala has seen the likes of internationally renowned stand-ups including Lynn Ruth Miller and Tom Cotter grace its stage alongside local comedians like Sam See and Fakkah Fuzz. What is it? 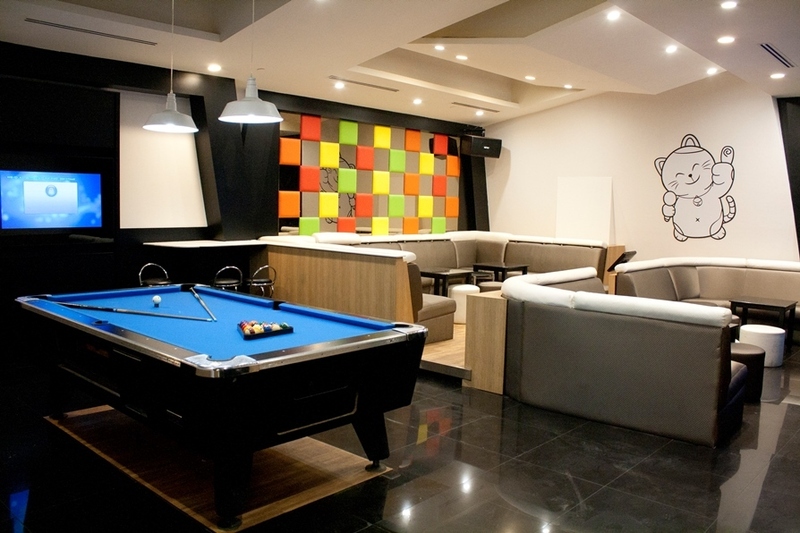 A karaoke paradise, Manekineko is loaded with 80 soundproof rooms and five VIP suites complete with pool tables. 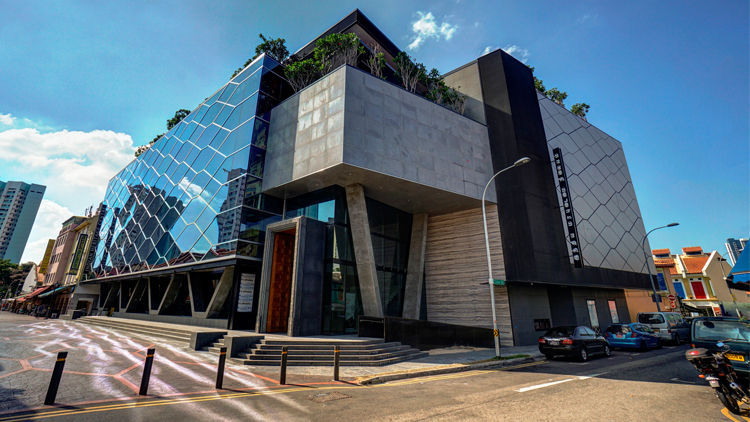 It is by far the largest K Box flagship in Singapore (and Asia). Why go? It’s time to channel your inner Britney, Xtina and Celine Dion. 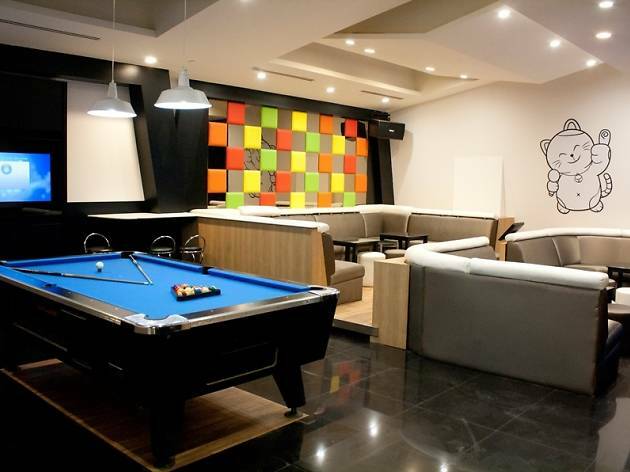 Unlike other karaoke hangouts, prices are decent here, starting from $15 for a 2-hour jam. 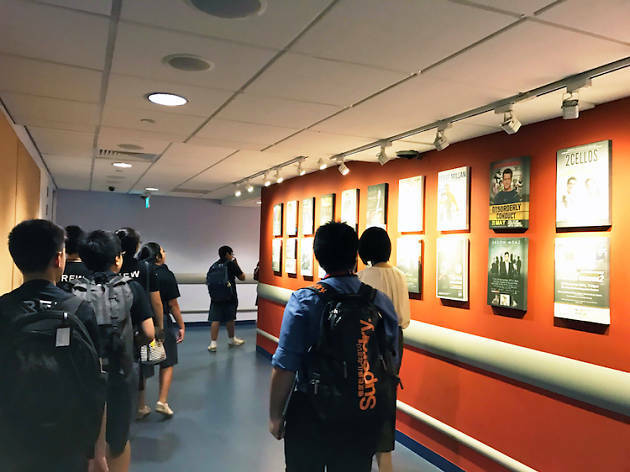 The state-of-the-art karaoke systems boast a library of 150,000 songs that are updated fortnightly, and allow users to select songs, personalise playlists and control the system via the SKIT mobile app. Don’t miss: Besides belting to all your favourite tunes, Manekineko also offers a bottomless buffet spread filled with fried snacks, sushi and ice-cream on top of your booked karaoke session. What is it? Closest to a public bath in the city, this independent spa complex mirrors that of a Chinese hot springs resort, complete with facilities like a hot pool, sauna, showers and comfy couches with personal TV screens. Why go? At this 24-hour spa, it’s all about treating yourself. Start off by sweating it out at the sauna. Then pencil in therapeutic deep-tissue massage session to keep the stress at bay. Also make sure to take a dip in the hot and cool pools. Did we mention the all-day buffet dining available? Don’t miss: Try the Gateway to Vitality treatment, a deep-tissue massage that uses Shiatsu-style techniques, along with the option to select oil for a smoother, more relaxing treatment or non-oil for a more direct pressure-point massage. 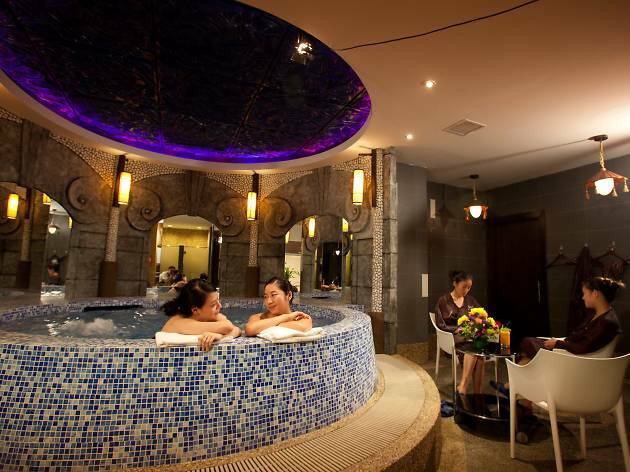 The treatment also includes free roam of the spa’s facilities and buffet spread.